This is just a continued from the previous posting. As mentioned, there are just way too many branches off to Carpet. Today, I am going to show you how to get there through Reverse Carpet. Still the same elevation as before but this is an easier climbing than the tar road through Cherrie Blossom. I would say on average the gradient is around 3-7 degree only but certain stretch may be steeper. 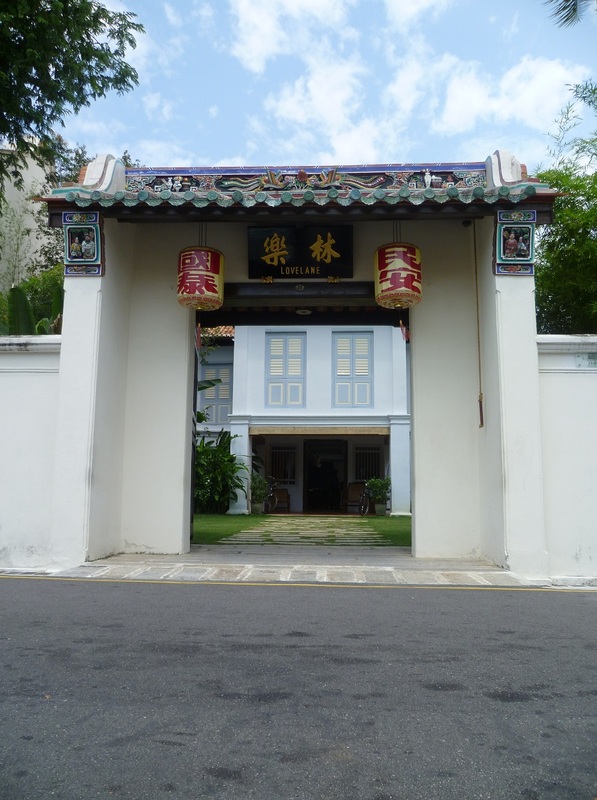 The starting point is the same as before which is Indian Temple then the MPPP trail. 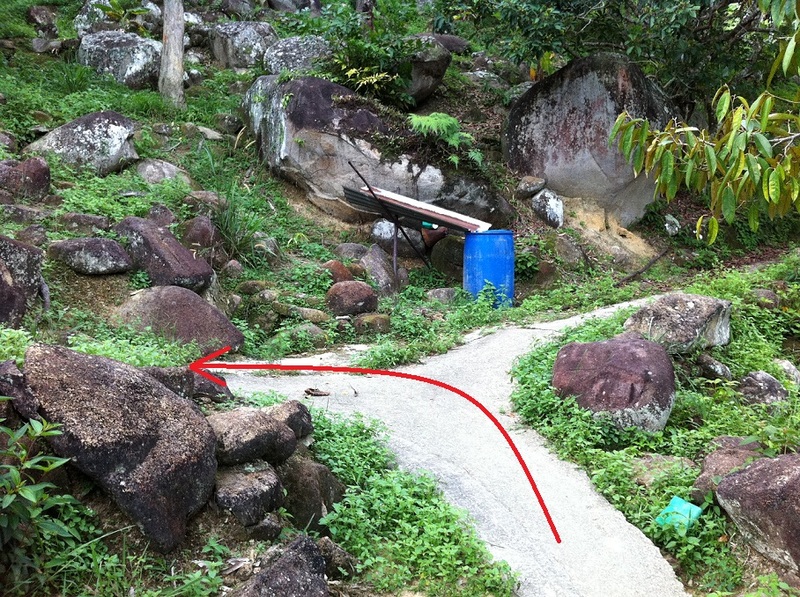 You may refer to my Trails: Sungai Ara for refresher if you forgot how to get to the MPPP hut. Turn in the same way as before until you hit this junction. Don’t follow the RED arrow this time. Go straight instead. 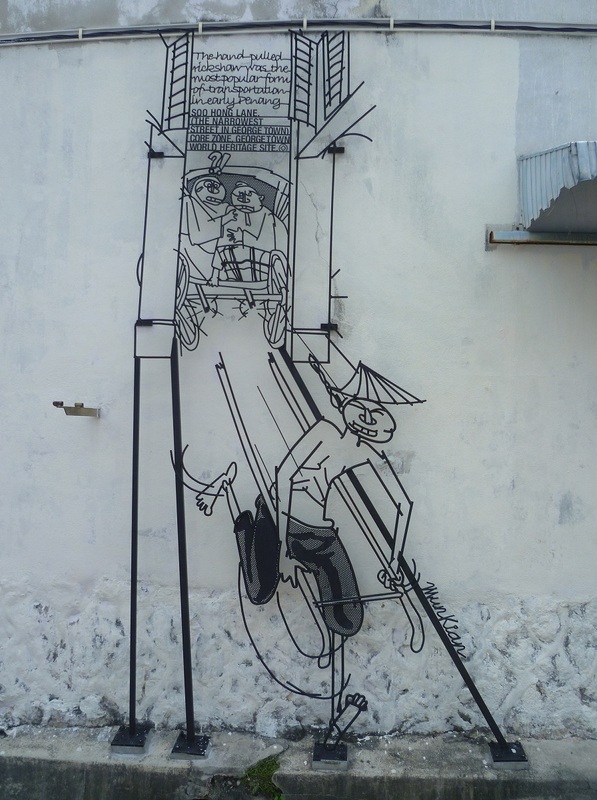 There are certain stretch you will need to have mighty strength to climb. It has about 10-15 degree gradient but very short distance. 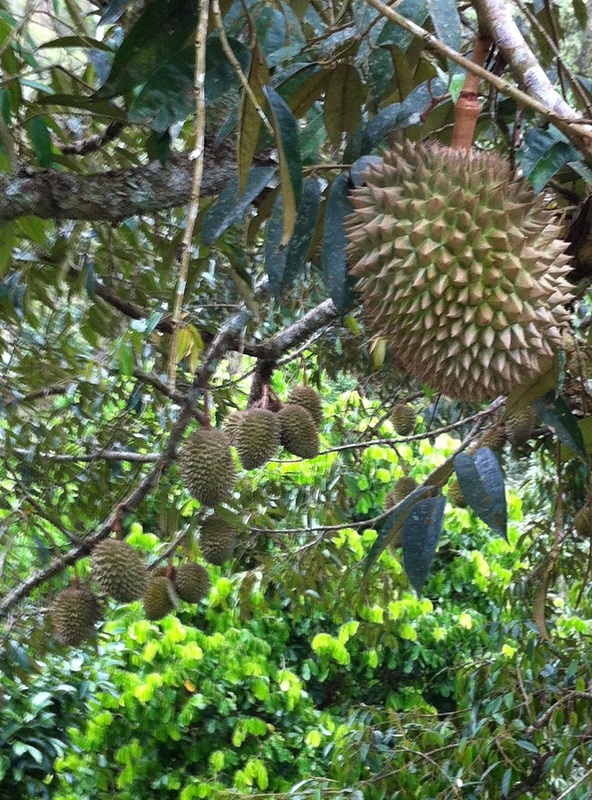 Along the path you will see a lot of Durian trees and right now is the season. 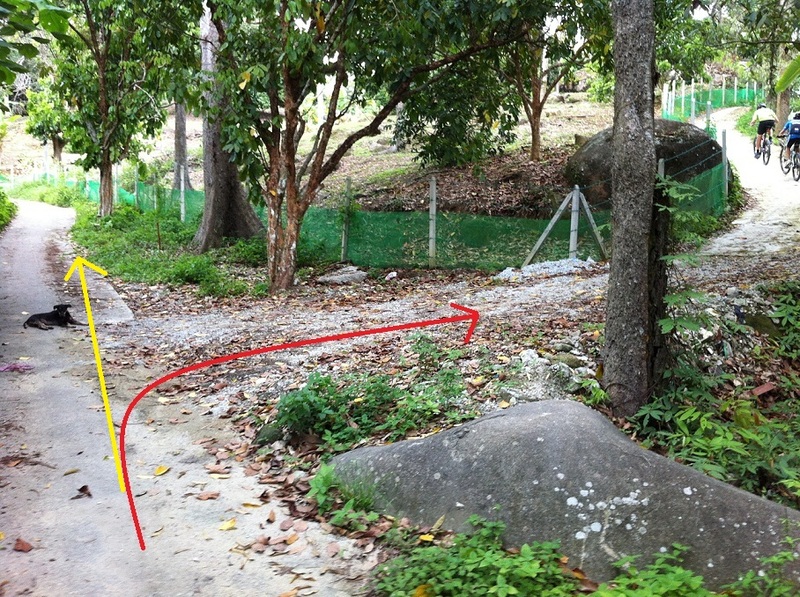 Once you past the above junction, just ride along the path until you hit another junction as below pic. 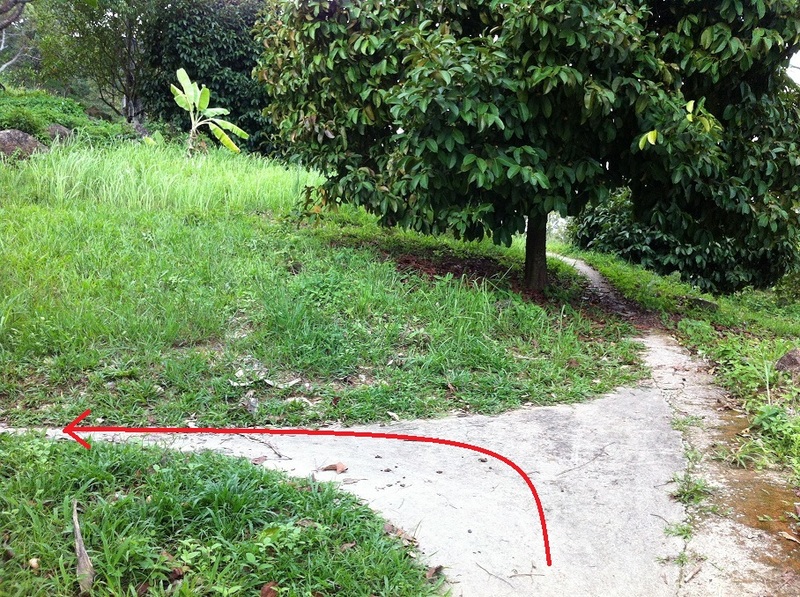 Just follow the red arrow and it will leads you to Reverse Carpet Trail. So, why is it called Reverse Carpet? 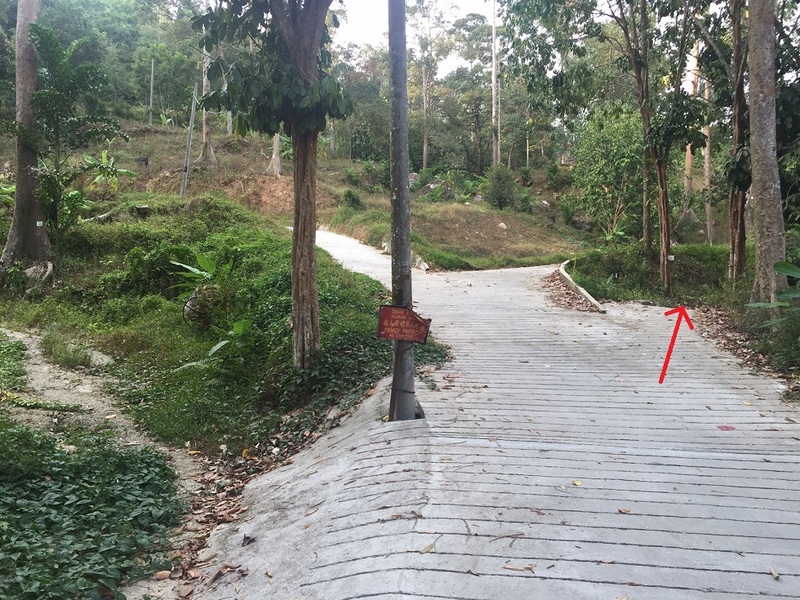 It is actually consists of multiple switchback throughout the trail. 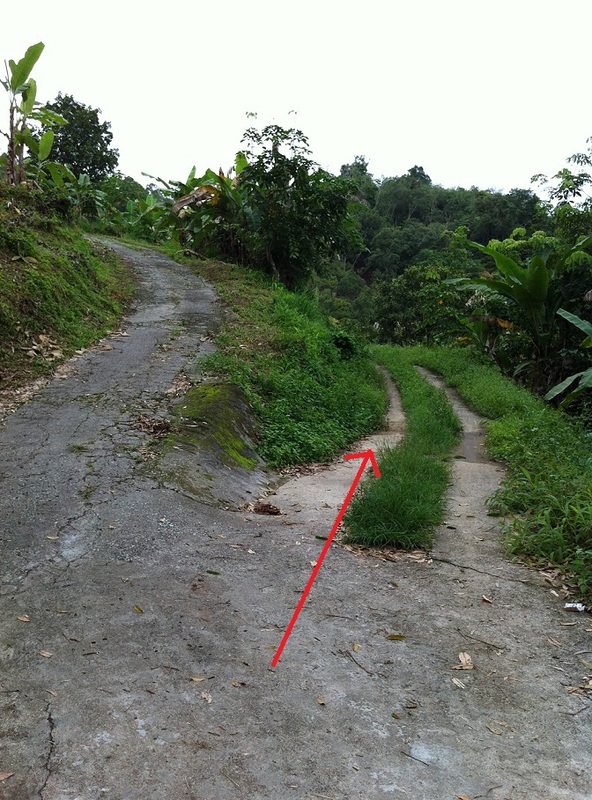 To be exact, it has 10 switchback. Starting from 2 until 12. 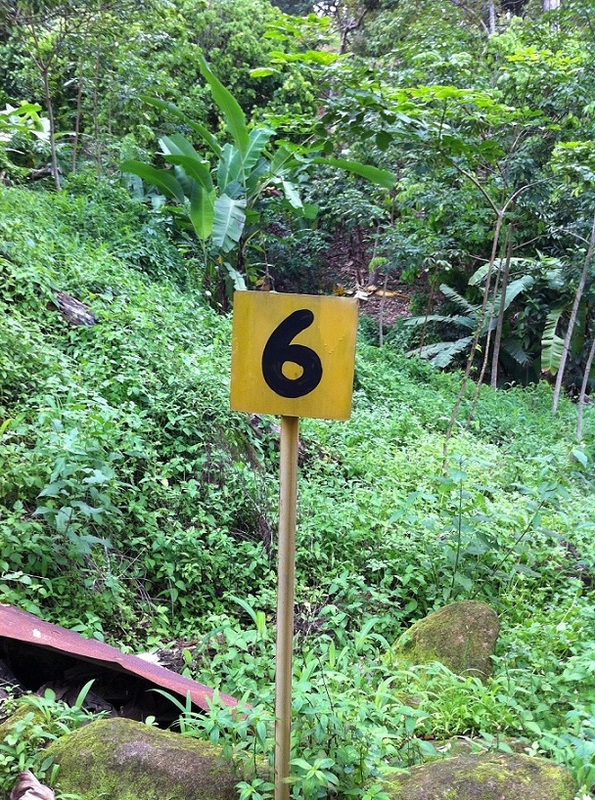 The hardest climb is from 8 to 10, so better to conserve your energy as you will need it later. 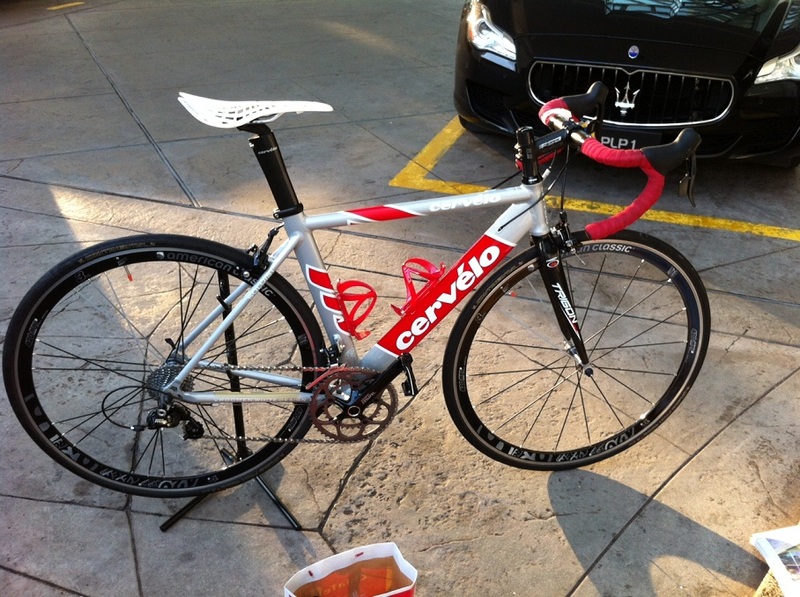 Well, it was a sad moment to part away my Cervelo S1 bike. I got the bike last October with just the frame only and slowly built up the bike to a race condition. 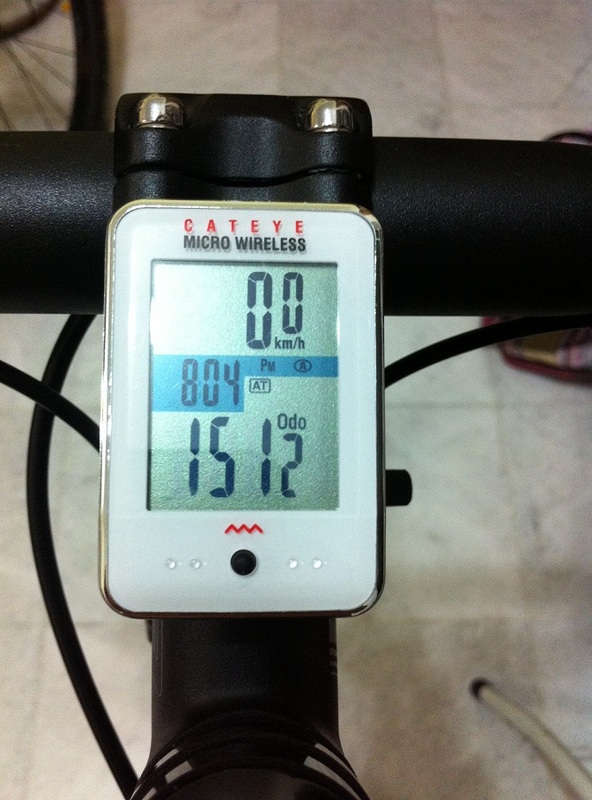 Though the bike may have given me sore muscle, backache and stiff neck but it has made me stronger each day. I started to build up mileage, getting faster and faster each time and ultimately gave me a great satisfaction. I can even catch up my fellow friends on carbon bike. 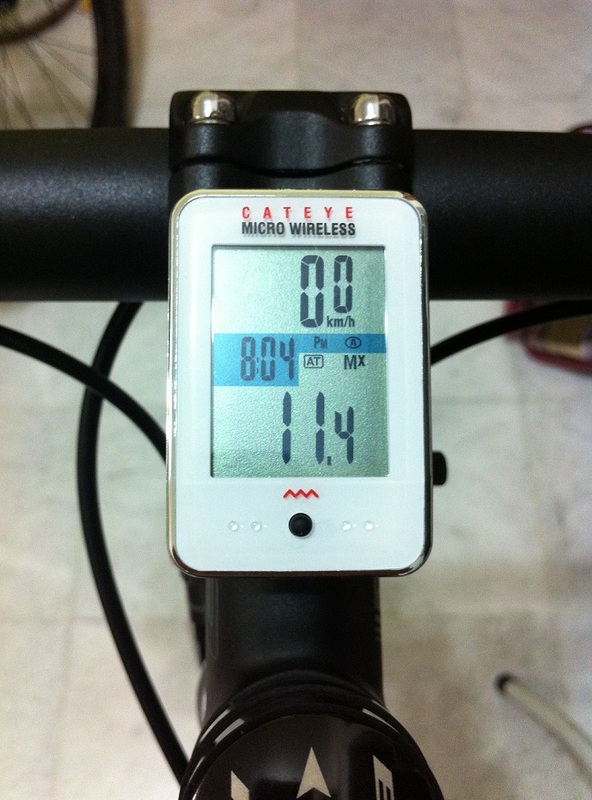 Thank goodness of it’s aero frame, medium profile rims and light weight bike (7.7kg). Sadly, I have to give up the bike due to some personal reasons. I do hope that 1 day, 1 fine day I am able to get back on a new carbon Cervelo bike. 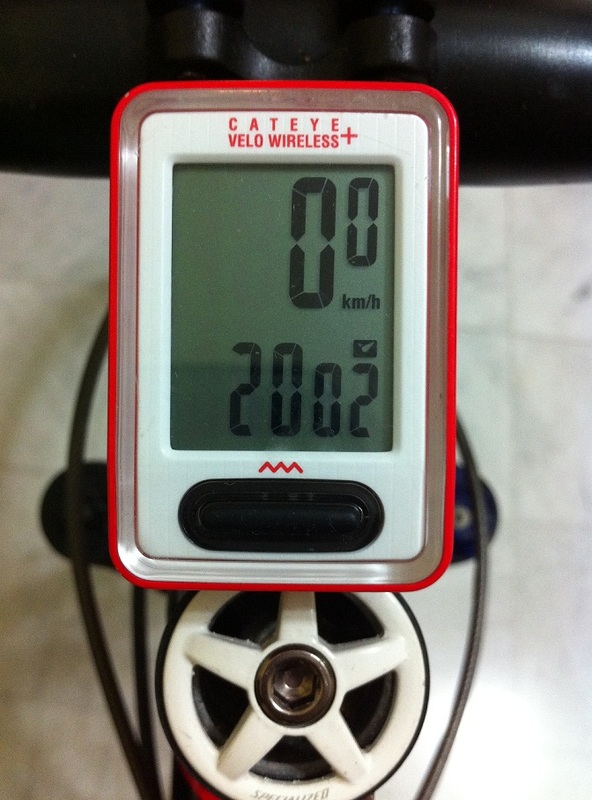 With this bike I was able to break another record since I started cycling. 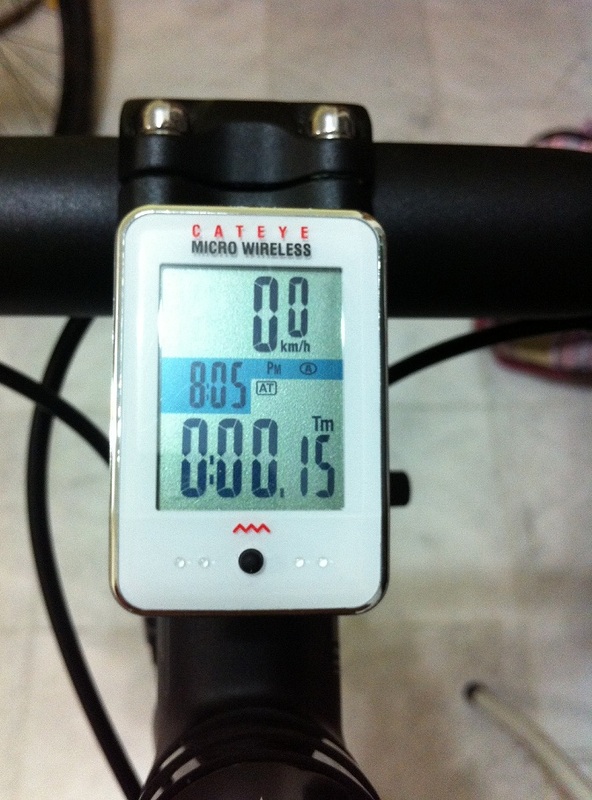 The most mileage I have ever ridden in a month – 500km. Finally, I have to give up the bike yesterday to a new owner (btw, the Maserati car does not belong to him. It just happened to park there). Hope that he will enjoy the bike as I do. 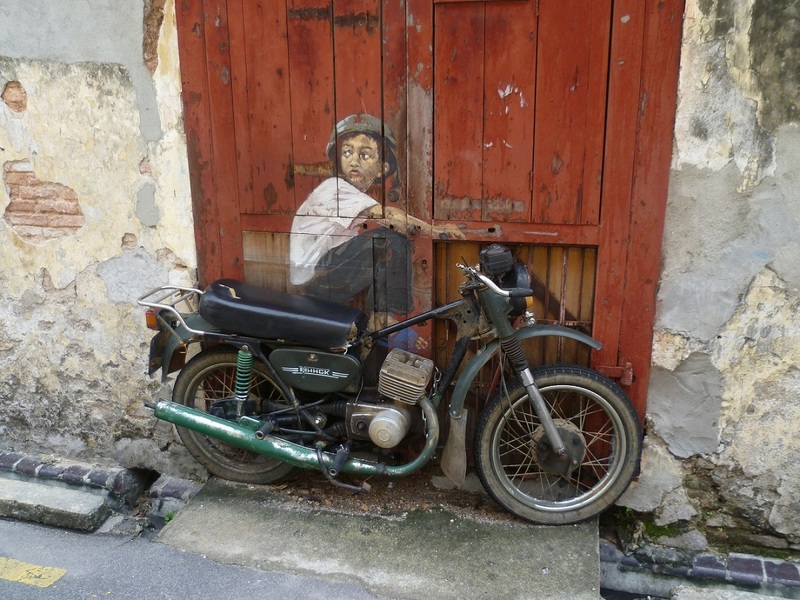 Well, I have been blogging lots of Penang single or off-roads trails. So, I am going to write something that is different this time. It is going to be light and easy. 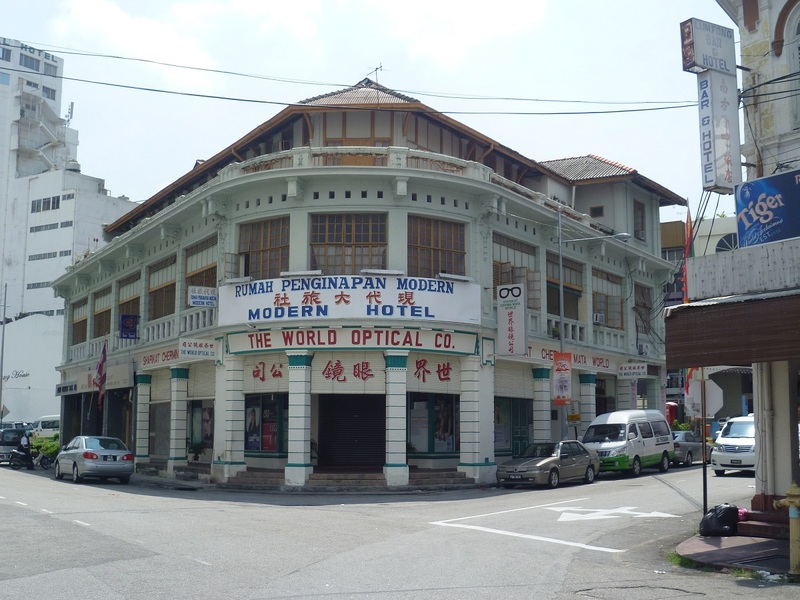 Penang is also known as The Pearl of the Orient and it is also my beautiful hometown. 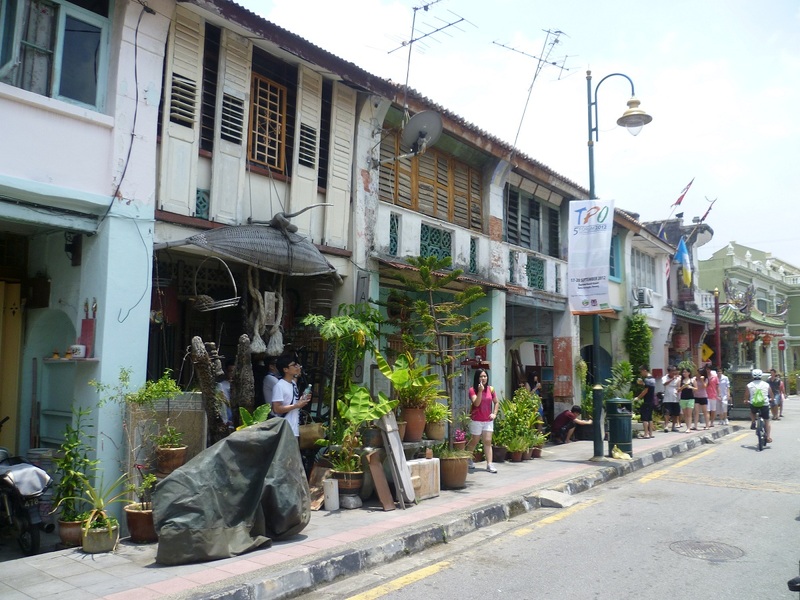 You can talk to any Penangites and they will proudly tell you about the city. 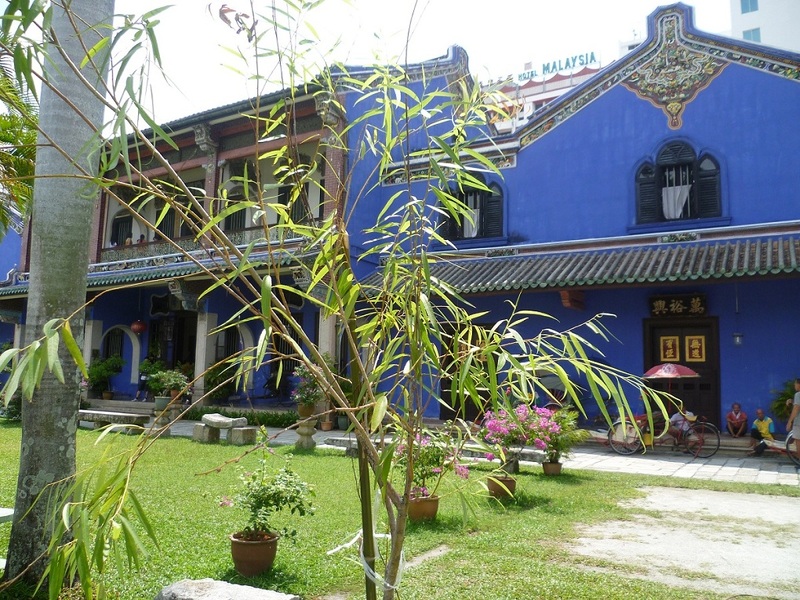 In 2008, UNESCO has named Penang in the World Heritage lists together with Malacca. 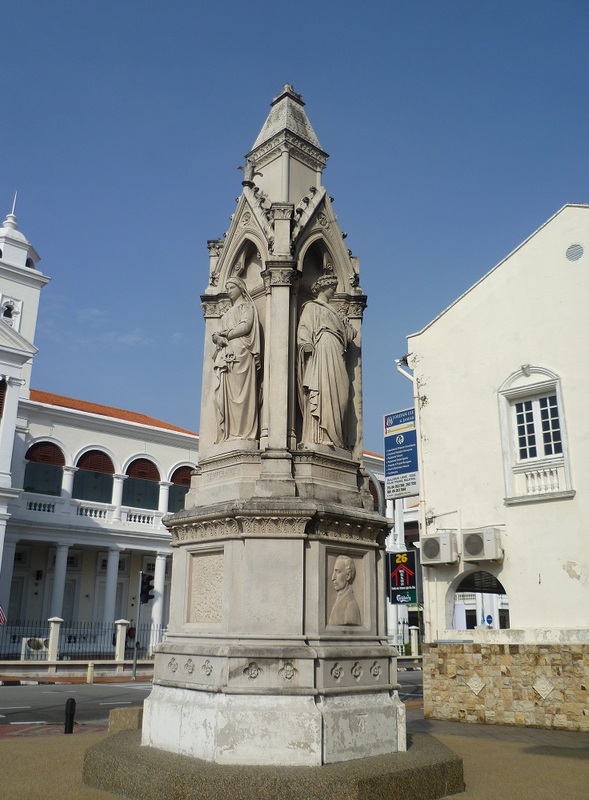 The site is located at northeast of Penang or Georgetown. 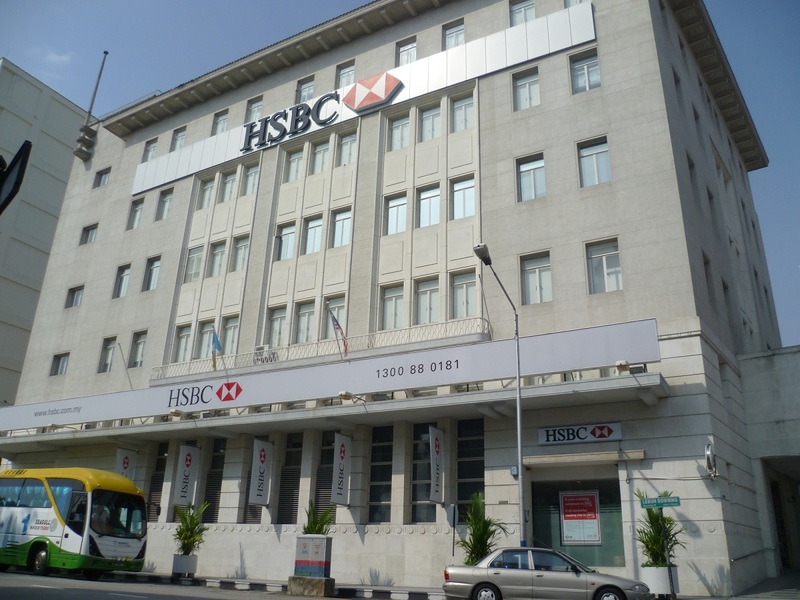 The best to tour around the city center is by bike. 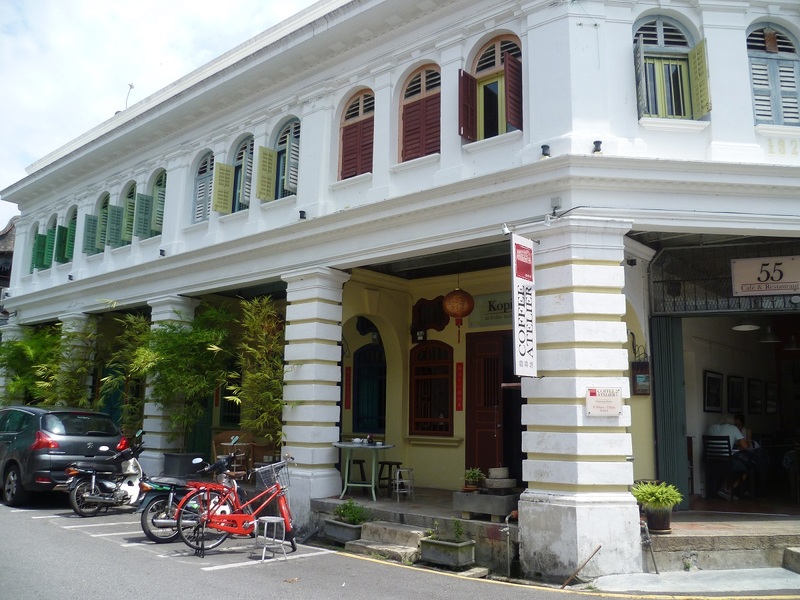 There are many areas you can rent a bike for RM 10 whole day. Just don’t expect you will have Specialized, Trek or Cannondale bikes. 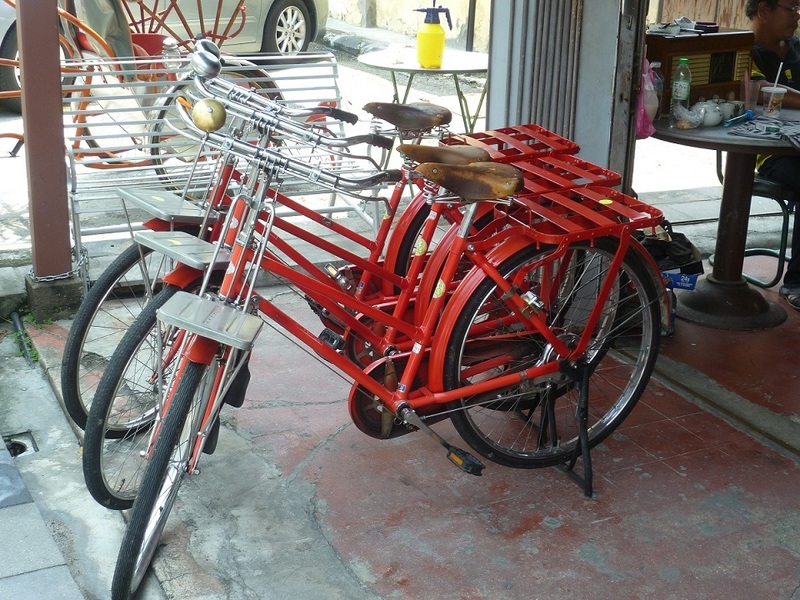 If you are lucky, you can get a decent foldable bike. 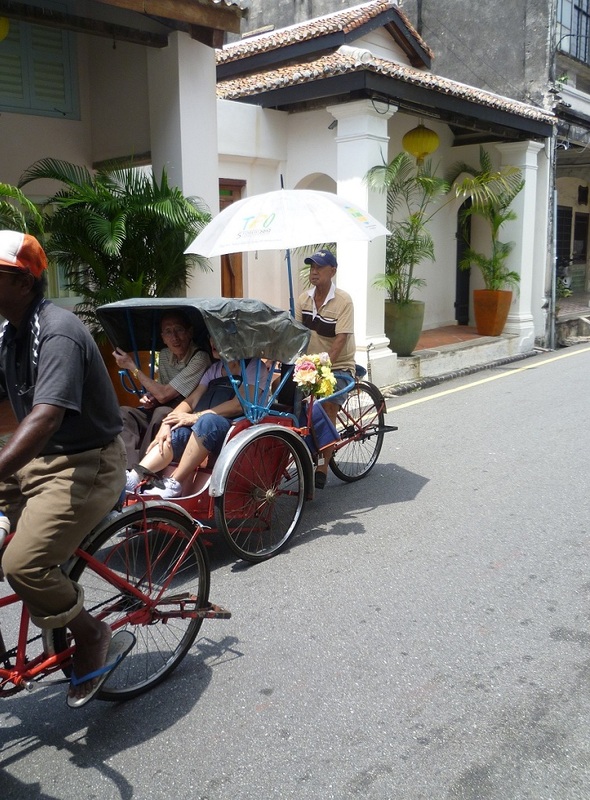 Or you can hire a trishaw to ferry you around. But, we used our own bikes. 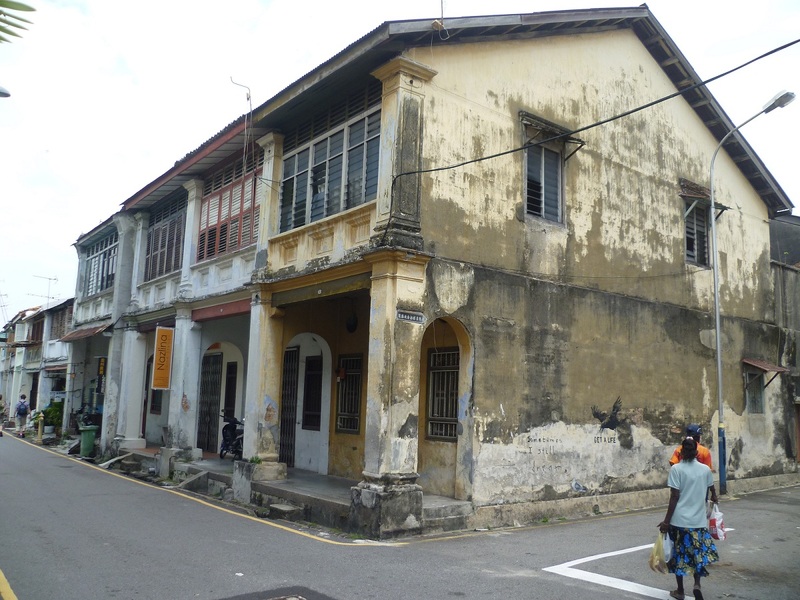 A lot of these buildings were built during the British Colonial time, so they have their architecture resemblances. During the ruling, there were lots of migrants from China and Middle Eastern too. 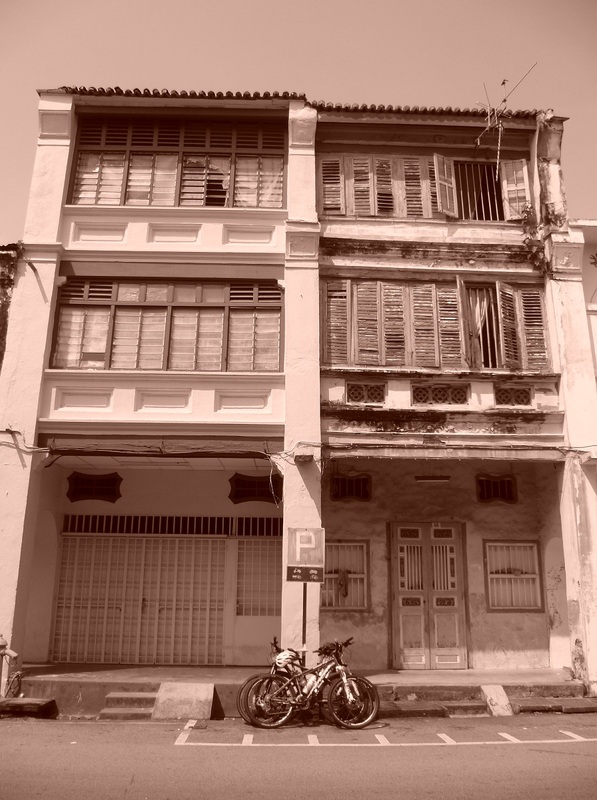 Therefore, different part of Georgetown has its own uniqueness. 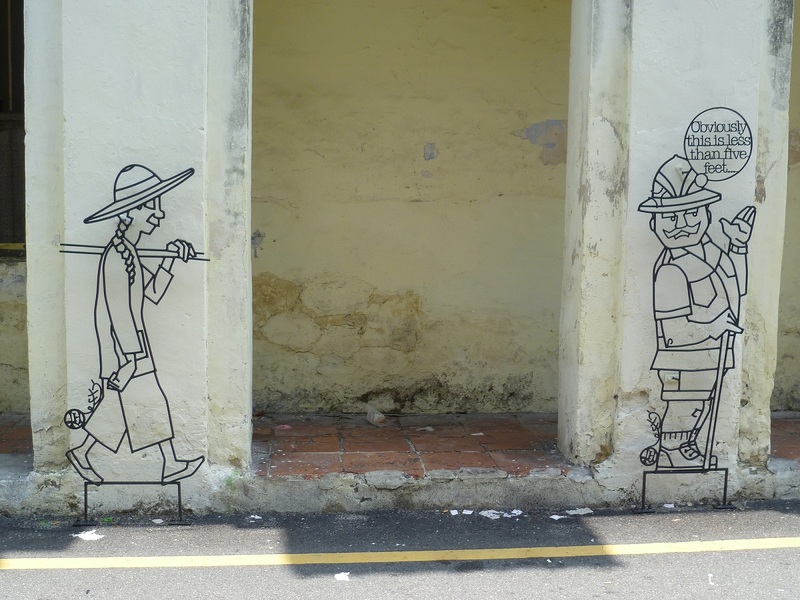 During the changed of government in 2008, Penang State has tried to attract tourists from locals or surrounding regions by promoting street arts and murals (murals drawn by Ernest Zacharevic). And… they succeeded. 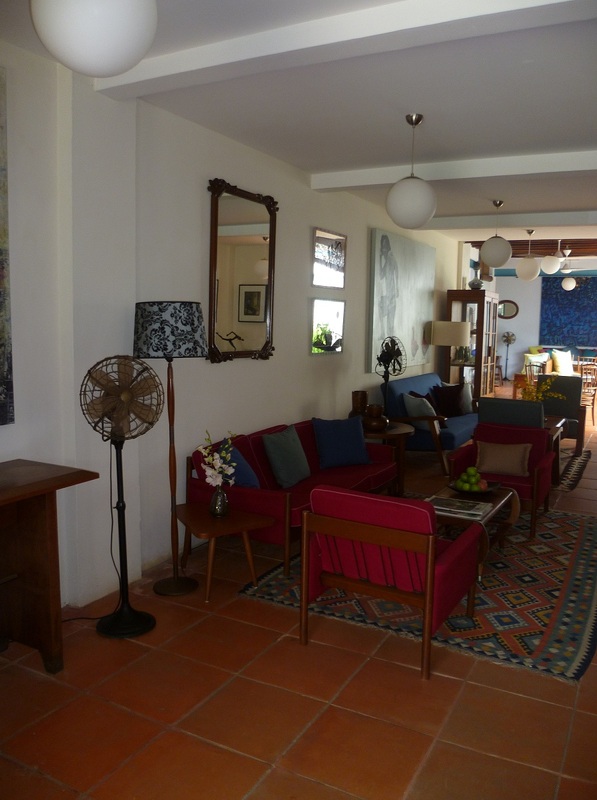 With the influx of tourists came also the hotels. 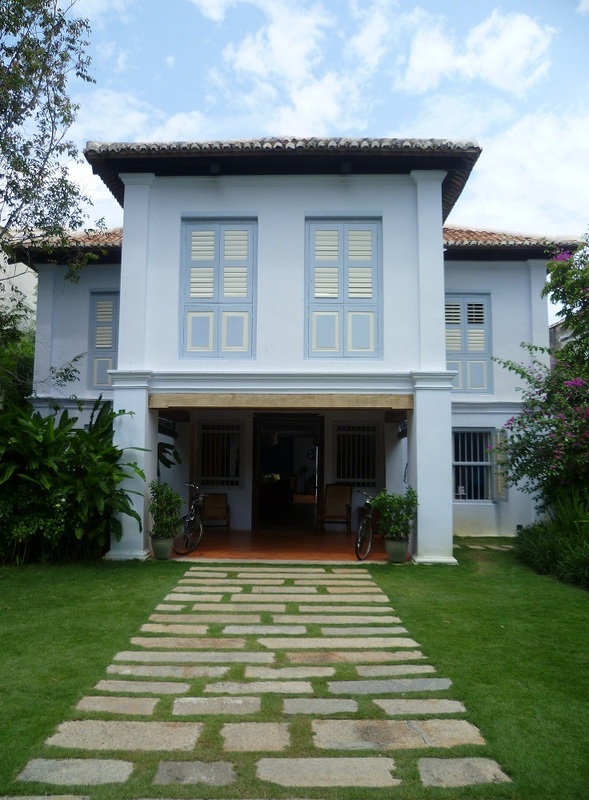 Nowadays, you can find a lot of these boutique hotels which were converted from abandon old bungalows or houses. They are not cheap! 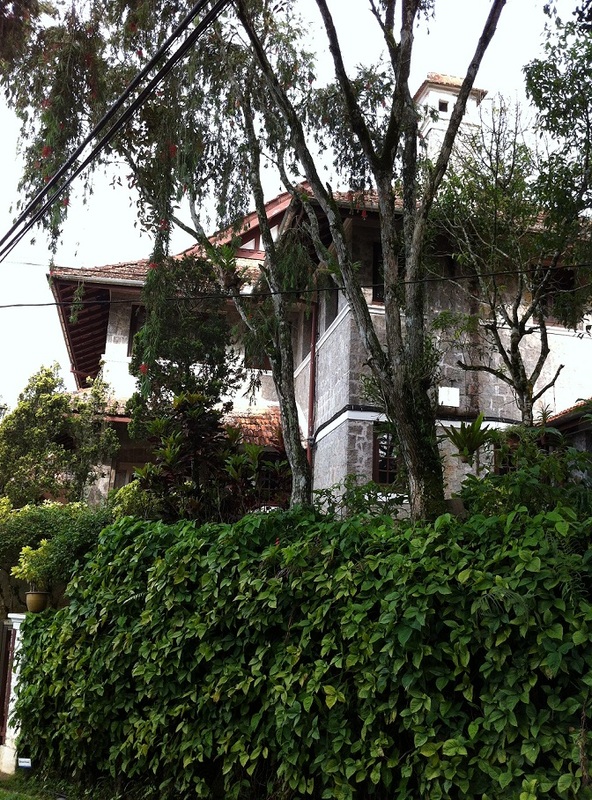 Some of them costing about RM 500/night but in very quiet neighborhood. 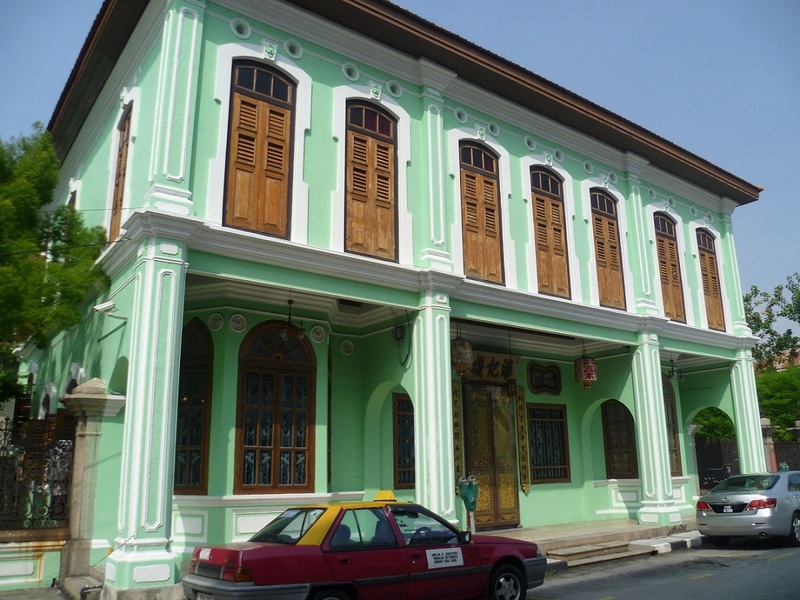 There are a few restored mansions like Cheong Fatt Tze and Pinang Peranakan Mansion are open to public but there is an minimal admission fee. 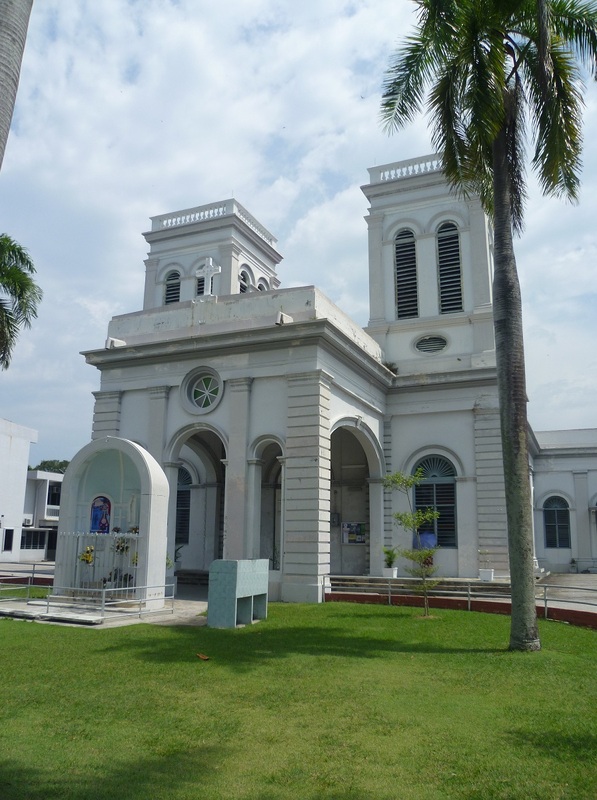 I believe it is worth for the visit. 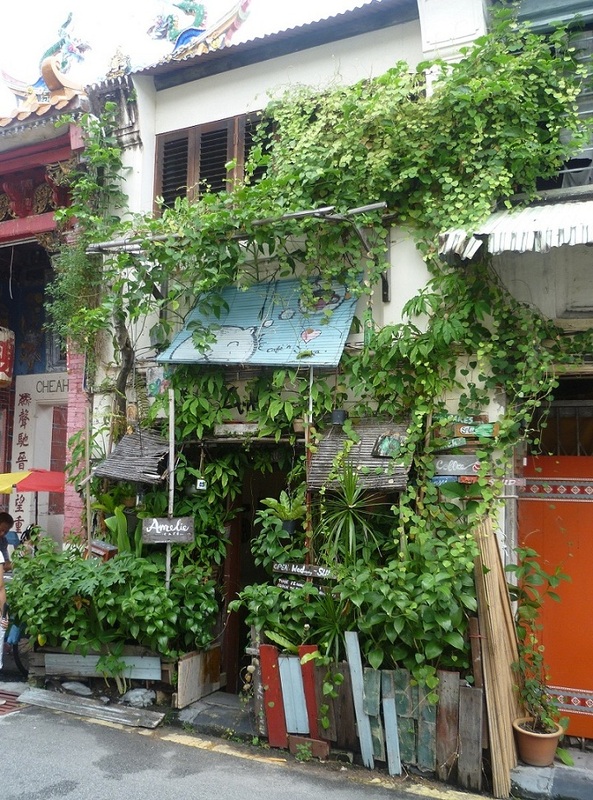 When you are tired of cycling or walking, you can stop over these types of café for cup of coffee, tea or cakes. 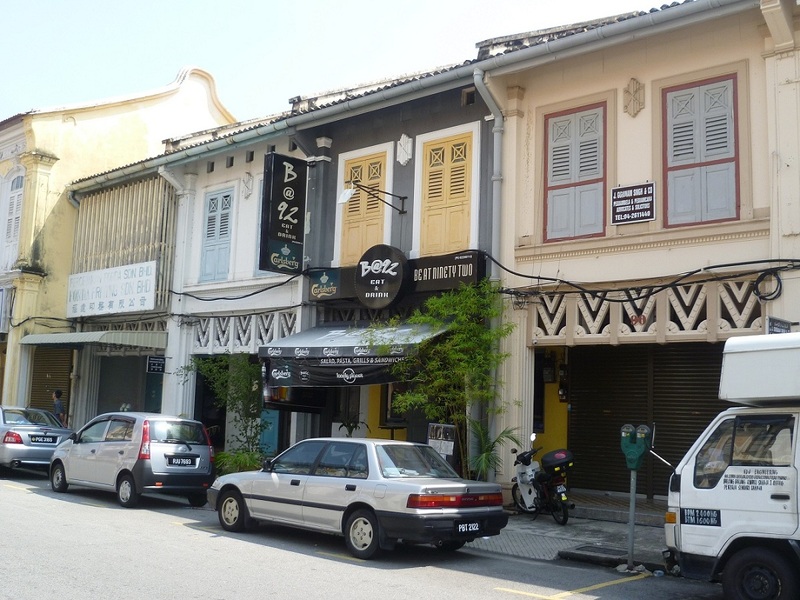 Generally, they are pretty good and pricing around RM5-10 for cup of coffee and RM 8-14 for a piece of cake. Enjoy your riding… Just make sure to put on a lot sun screen as it can be very hot by 10-11am. 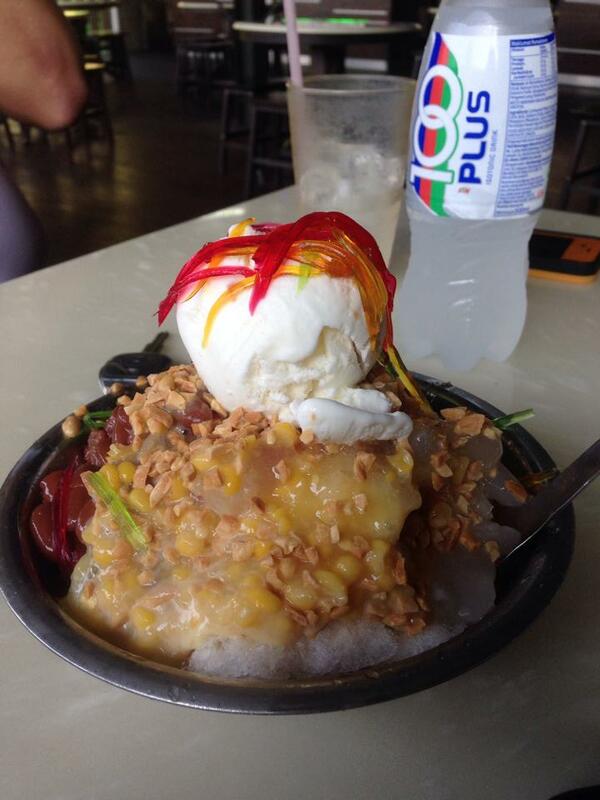 The name of Penang Hill is already given out the hint that it is located in Penang Island. 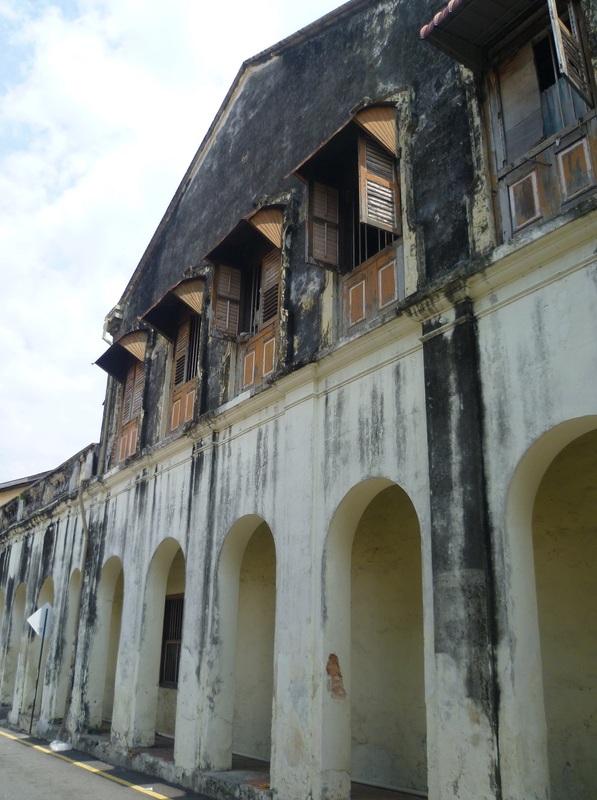 This place was developed by the British during the late 18th century and it was a place for them to escape the heat. 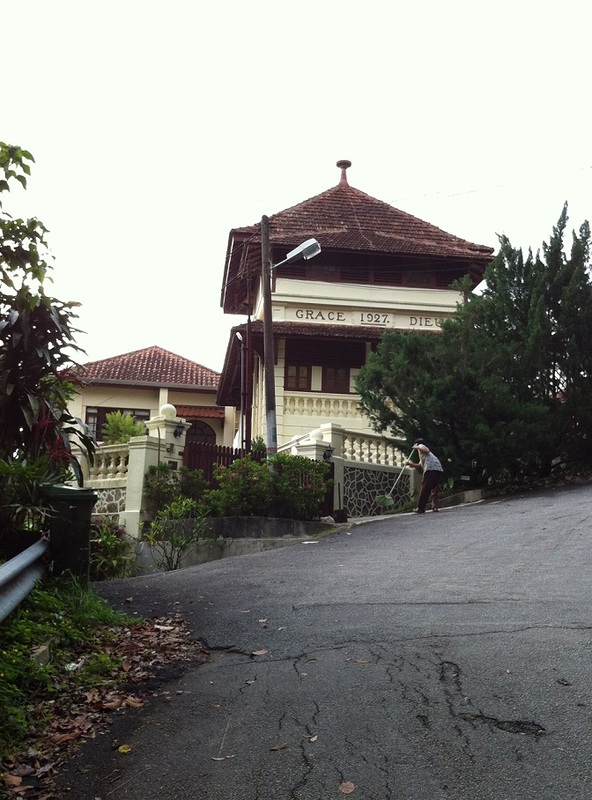 The highest point of this hill is 833m (2723ft) above sea level. 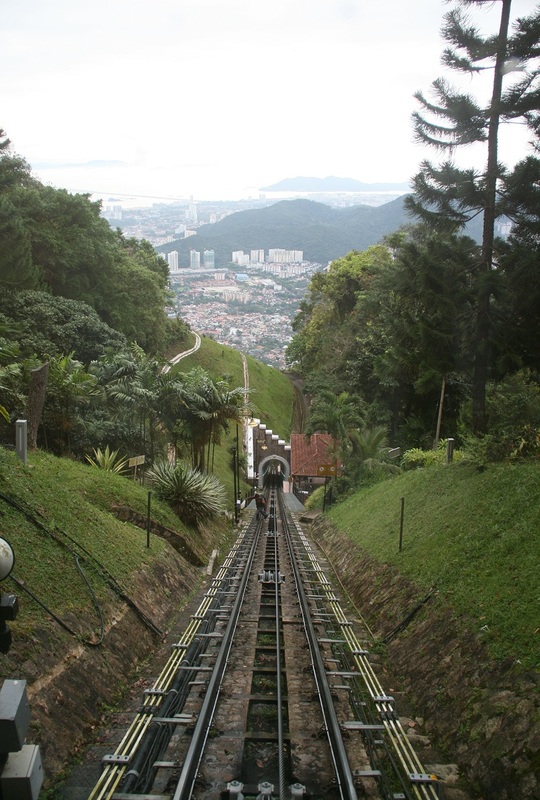 There are many ways to reach Penang Hill but normally people will use the funicular railway like the one in Hong Kong. 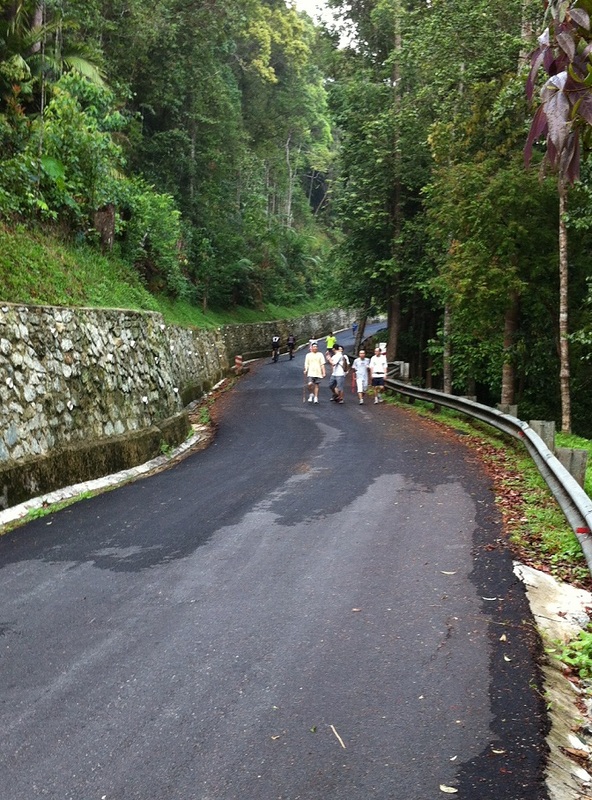 Others will use the Jeep Trail through Penang Botanical Garden. For biking, there are at least 2 ways to get there also. 1 that is through IronX (pronounce as Iron-Cross) and Jeep Trail. 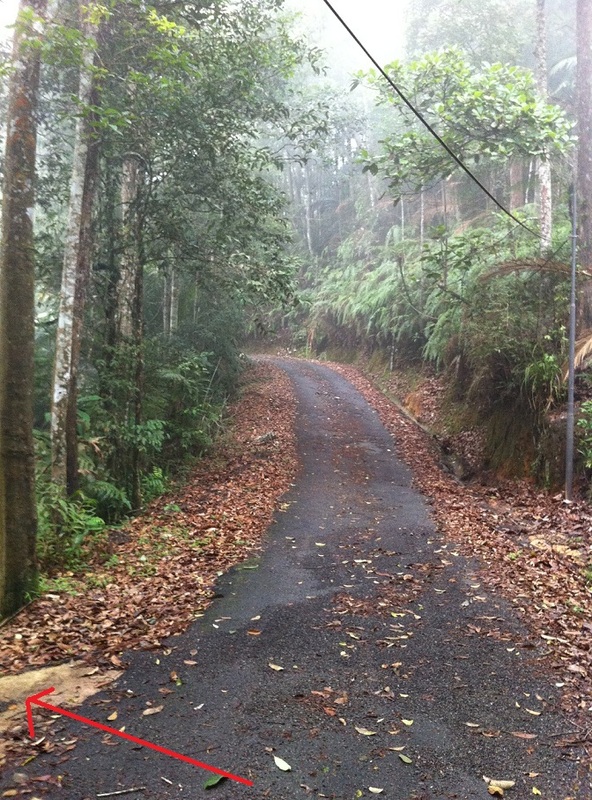 IronX is a mixture of cemented and off road where else the Jeep Trail is completely tar road. For this blog, I am going to write about the Jeep Trail. 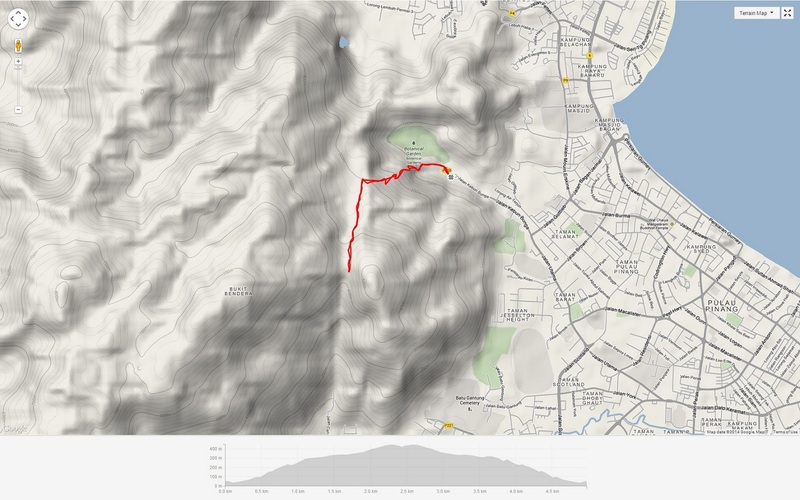 It is 5km long with 20-30 degree gradient for most parts. Only a certain stretch that is pretty flat. 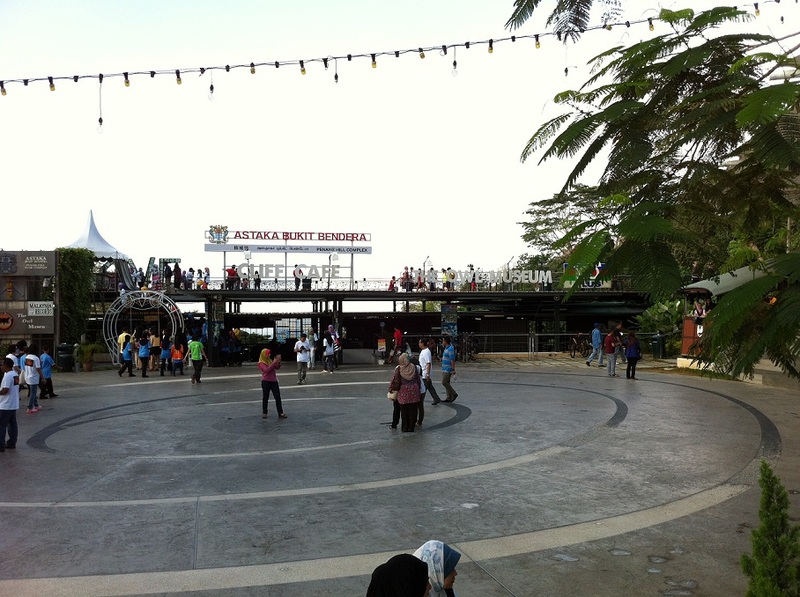 This place is famous for hikers and cyclist during morning and evening. 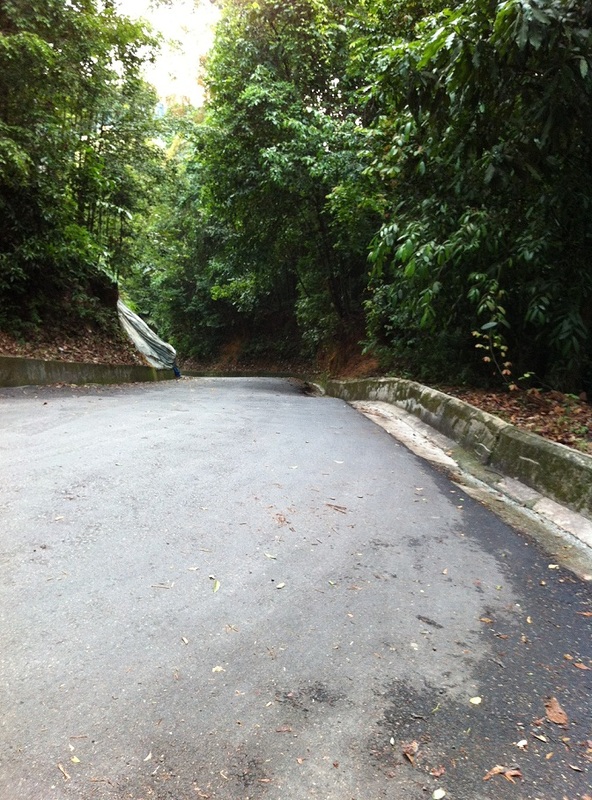 I would say you will need to have at least an average physical and mental fitness before conquering this hill. Else, just take stops when needed. 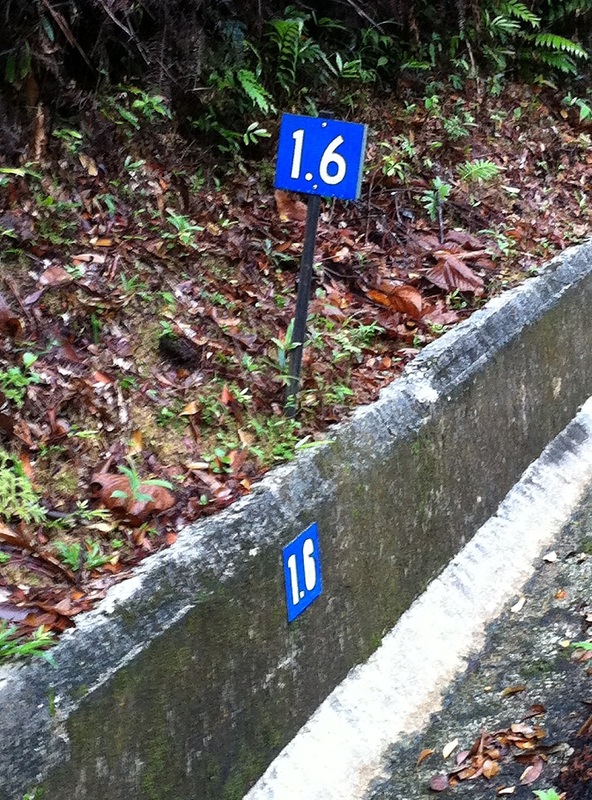 Many years back, they used to mark the floor with numbering from 1 to 168. #1 is the foothill and #168 is the top of the hill. Now they are replaced with the actual distance. 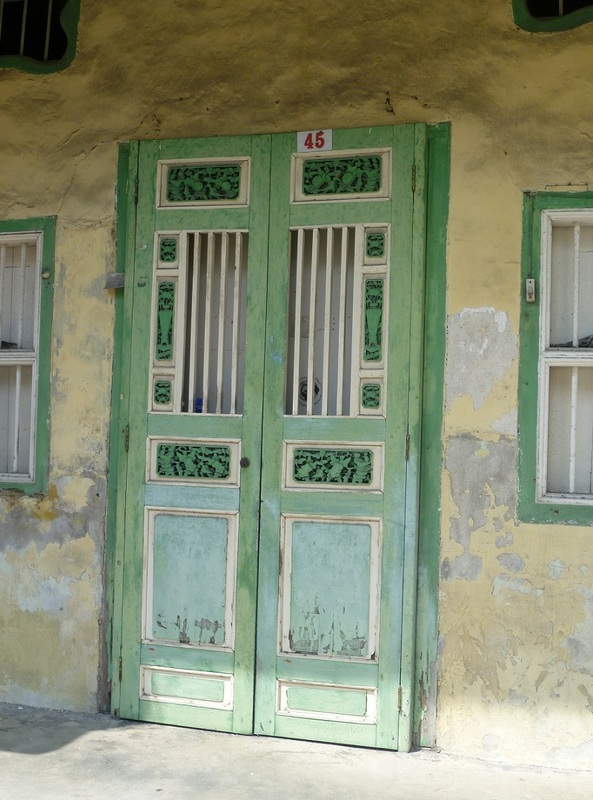 There are 2 numbers that are well known to hikers and cyclists are #47 and #84. #47 is like a 1/3 (or more) of the hill and #84 is half way thru. 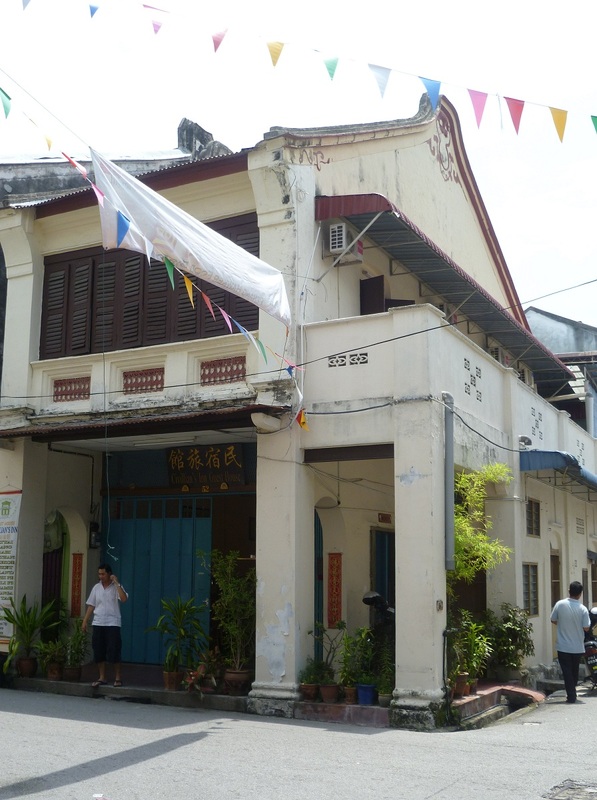 And, back in those days, #84 was where everyone gathers to have a cup of coffee, tea or biscuit. But, gone are the days. The toughest part of cycling in this trail is from #1 to #47 and then you will have easiest part from #47 to #84 which I can say pretty much flat. After reaching #84, you can take a breath here or continue to push on. 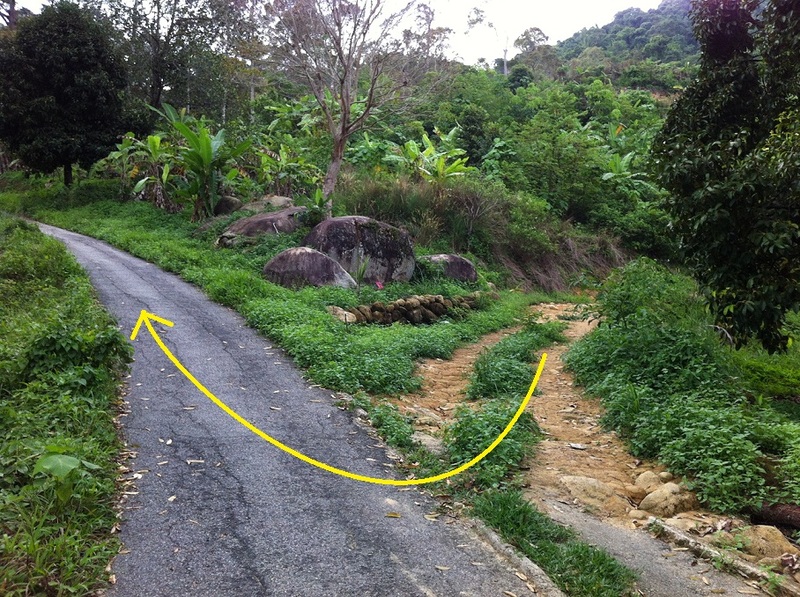 If you choose to push on, then from here to Grace Home it has like 15-30 degree gradient uphill. 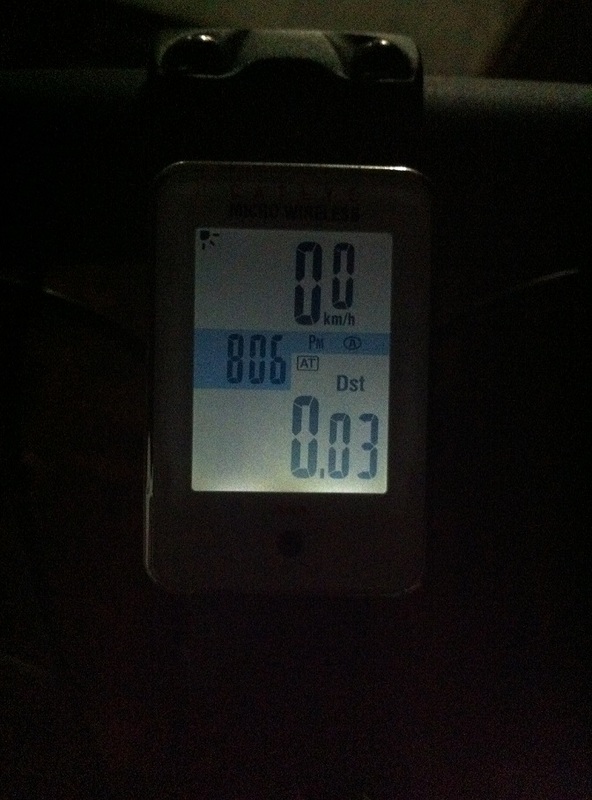 After Grace Home, it is pretty much easy pedaling for remaining. 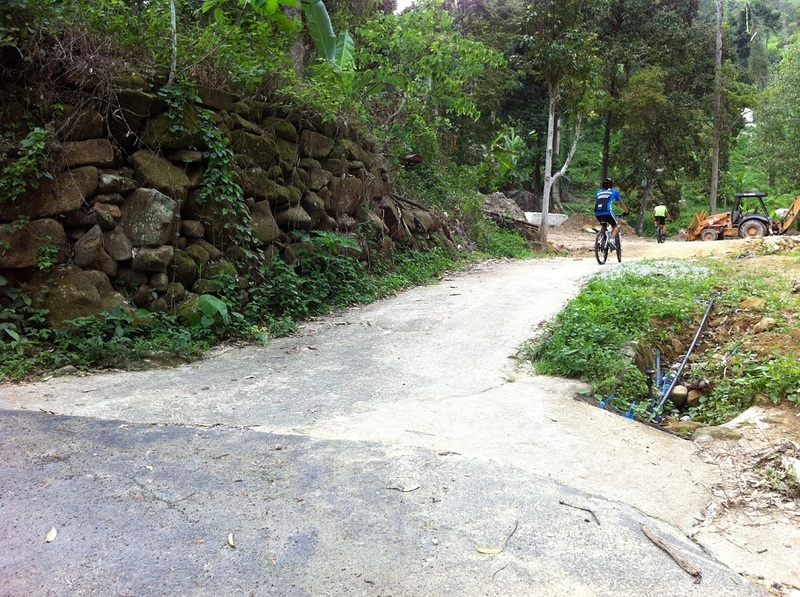 Do keep left all the time as there are cyclist, motorbikes and jeep coming down the trail. Always stay alert. 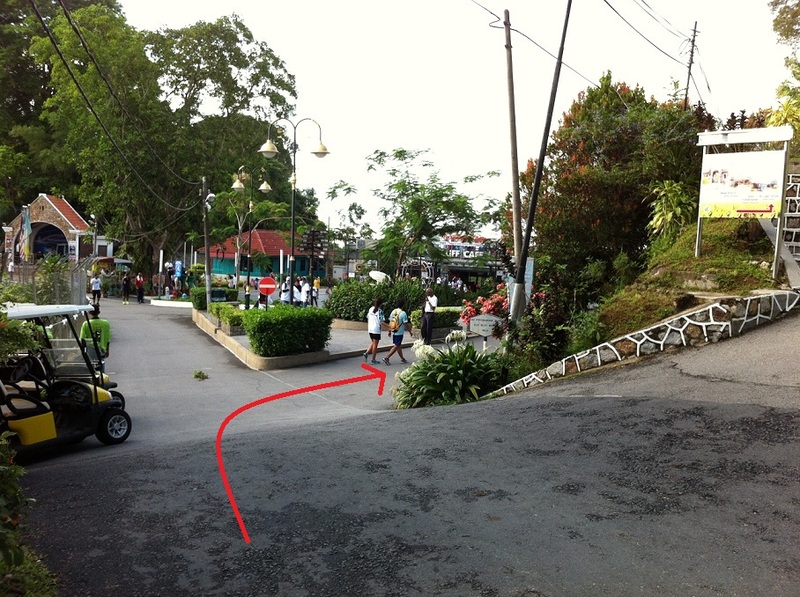 Wah-lah, finally reach Penang Hill. 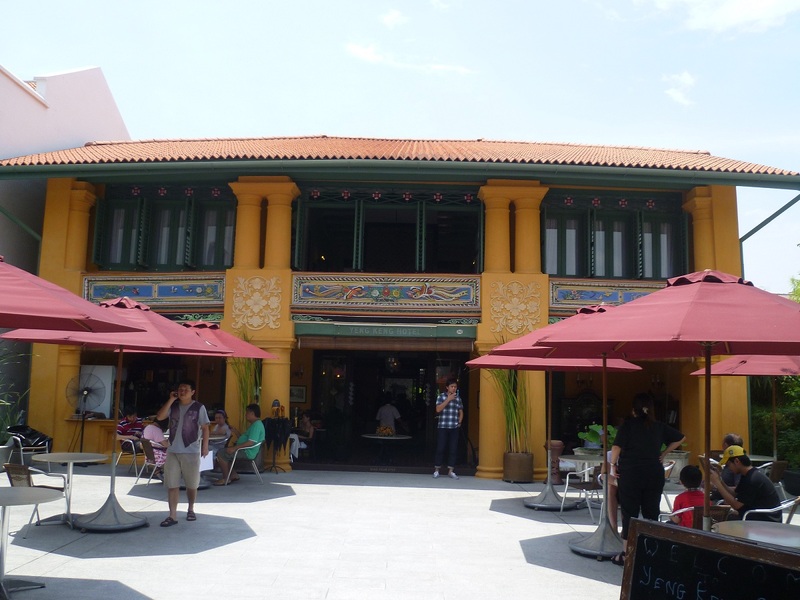 You can stop here for a nice bowl of Ice-Kacang or fruit juice at the foot court. 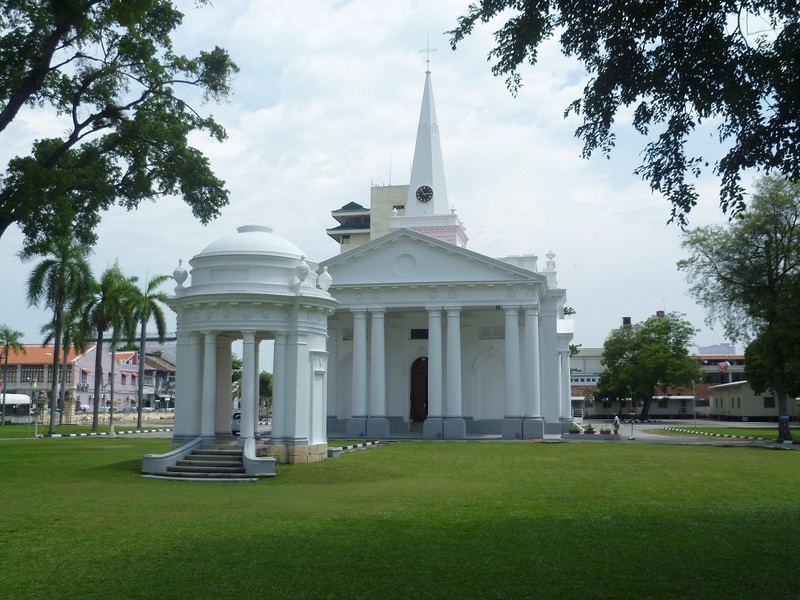 Or you can continue to cycle and enjoy the panoramic view of Penang plus the cool air. You can push on until the end of the road which is the military base. 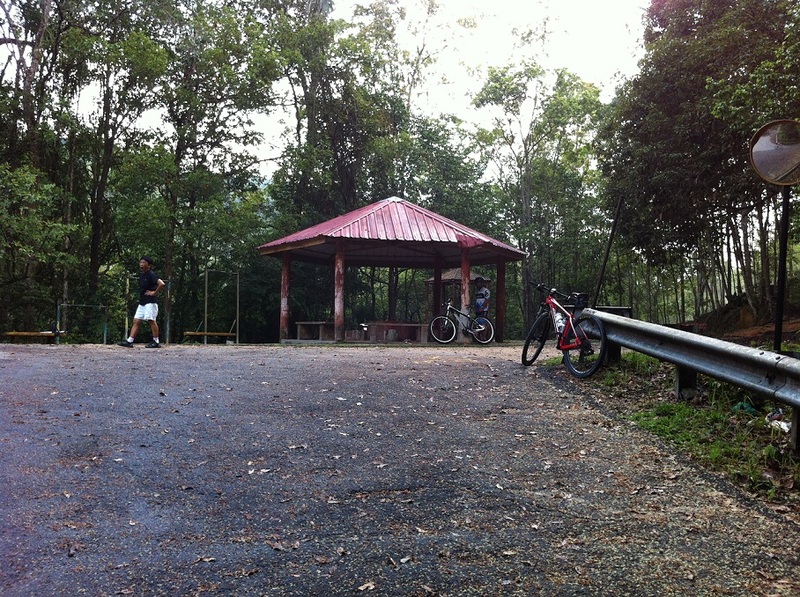 Over here you have reached the highest point that one can pedal thru and it is 771m (2529ft) above sea level. 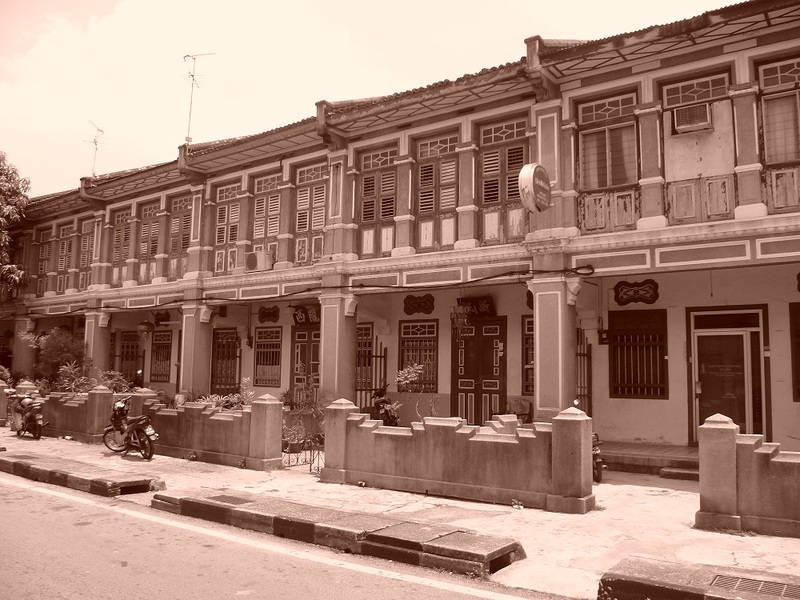 Along the road, you will see some nice old colonial houses and very quiet trail. 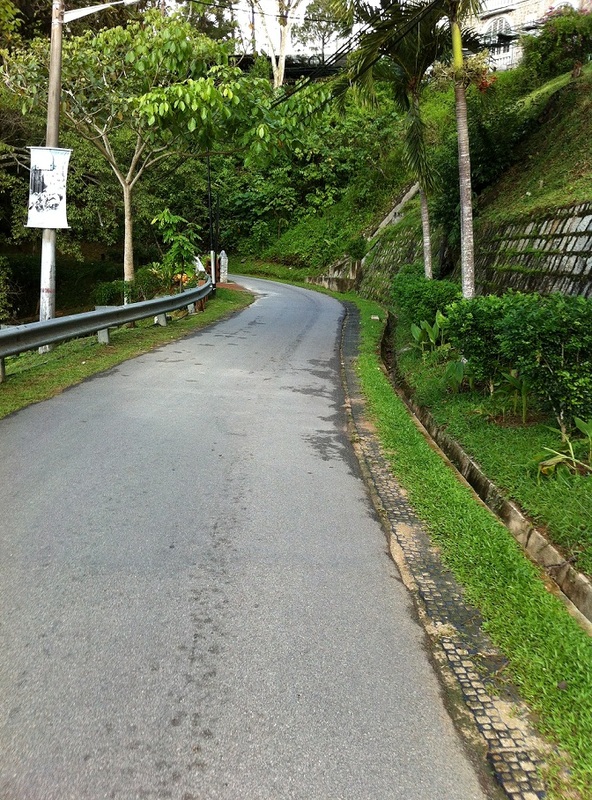 The reward that I am always looking forward is the downhill part. If you choose to go fast, always shout out at blind spots for hikers, cyclists, motorbikes and jeep to alert them that you are coming. Or, please go slow. I didn’t know it was so hard to shop for kid’s bike. 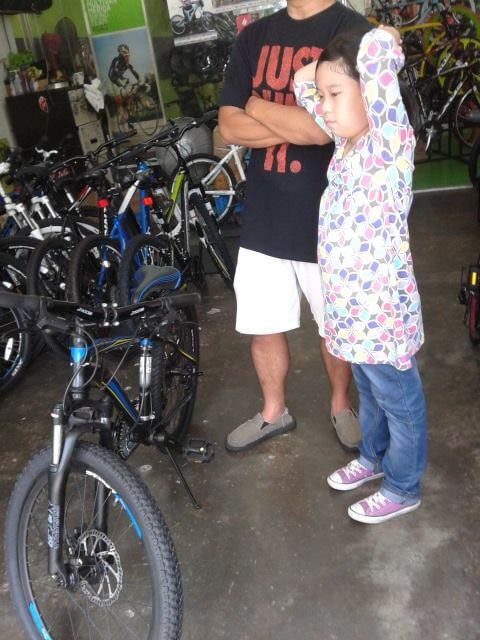 My daughter and I were shopping for a new bike as her birthday present. She has outgrown her current 20” bike and she has been giving me a lot of hinting of wanting a MTB. 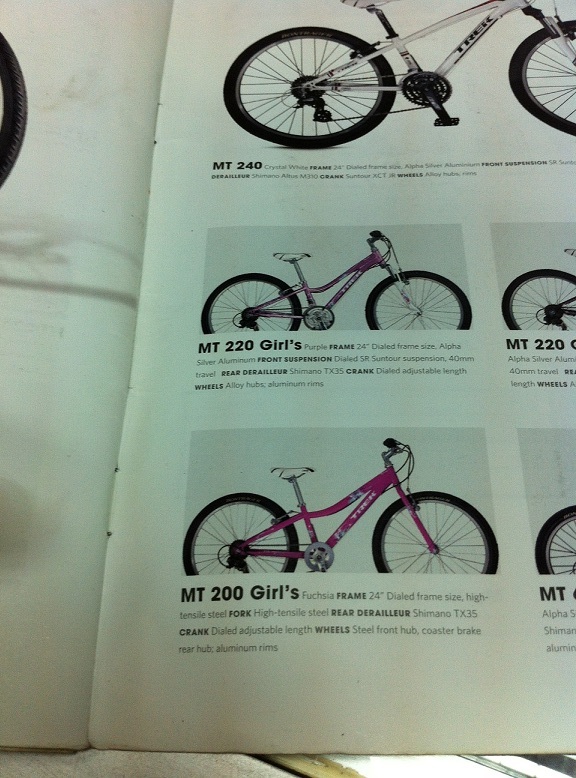 Wait, wait, wait… Not any MTB, it must have front suspension, gear changing and XC kind of bike. Kids nowadays know how to request. So, out we went to try out Trek, Specialized, Ghost and XDS. They are pretty much fall under the same category for that kind pricing. As usual, the China brand will give better specs such as more gear ratio, hydraulic disc brakes, more aggressive looks and color. The Trek store has recommended us to get an adult 26” bike just because they don’t carry any kid’s bike. Come to think of it, it does fit her with the Trek Skye SL with 13” size. 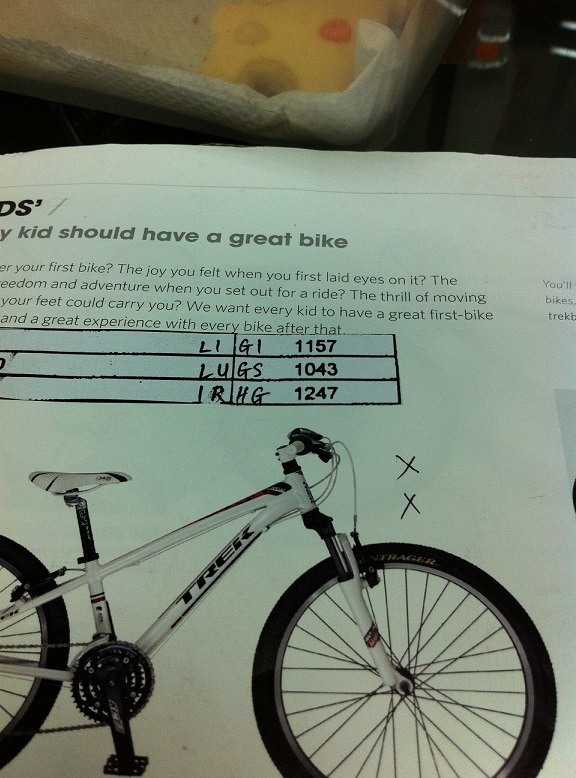 But, according to another shop, it is still best for my daughter height (132cm/4’4”) to get a 24” bike for better control. I will probably need to compare the geometry with the 24″ bike. What’s your take? 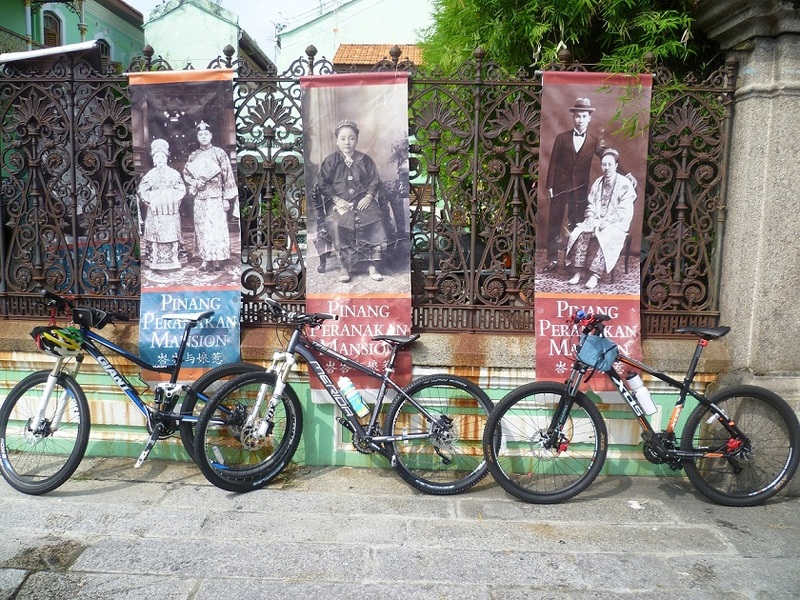 Luckily there are a few shops in Penang we can try out the 24” bikes. 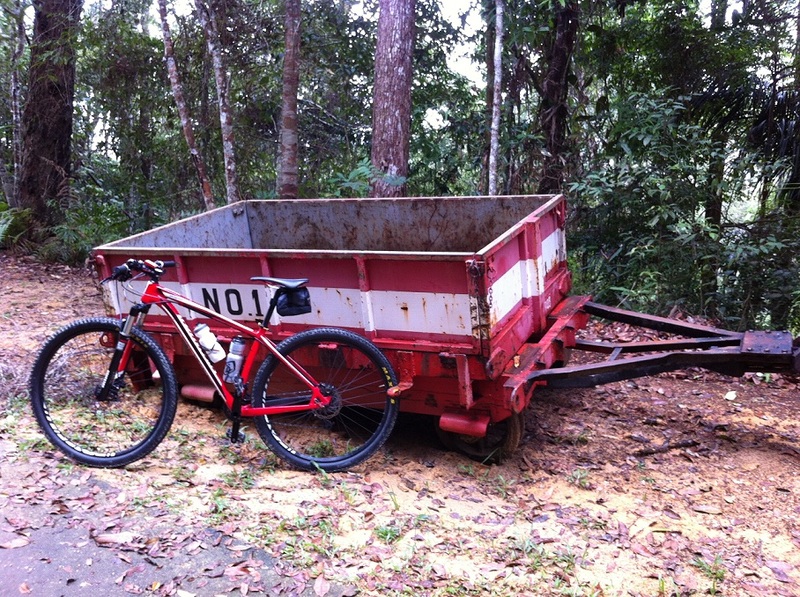 We have tried the Specialized HotRock, XDS bike and Ghost. The Specialized 13.5” size is consider slightly larger for my daughter but she will soon outgrow it again. 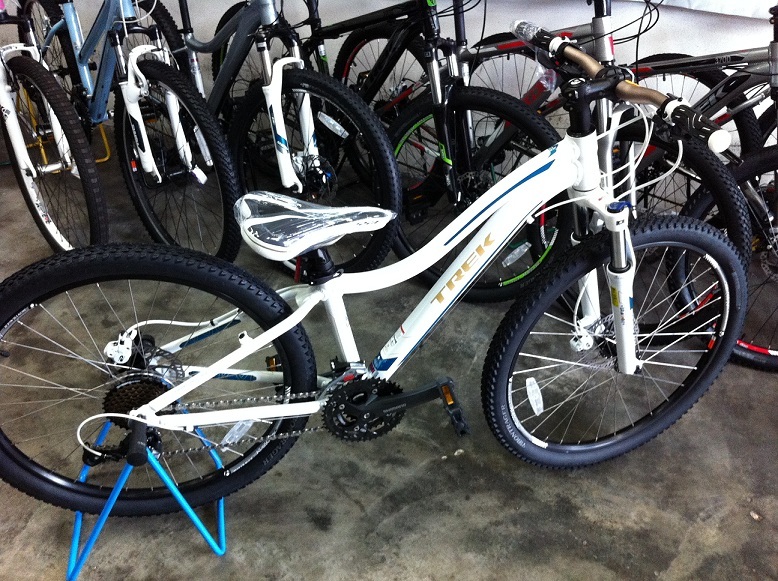 This will be her 4th bike and I thought of getting her a 26” will help me to save some upgrades in future. I am not sure now. 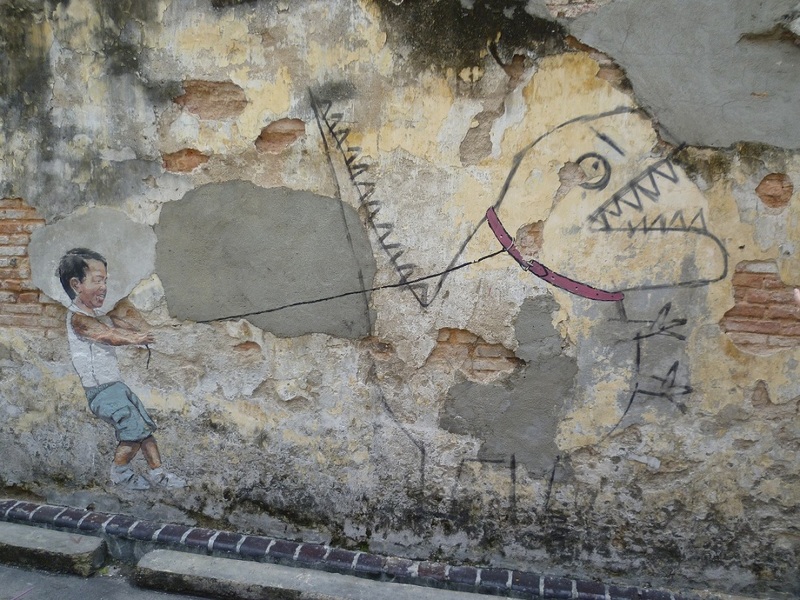 I guess not all things can be saved. And wow, I didn’t know kid’s bike can cost as much as an adult bike yet not giving out good components. I am still comparing and reading review now. I do hope that she will have something before her birthday. I got this helmet awhile back for a better protection over my current helmet. It covers pretty much the whole head and most importantly the back of my head. Also, I have tried on many types of helmet and none fits me perfectly (probably my head has a weird shape). And, it is Specialized which goes along with my bike. 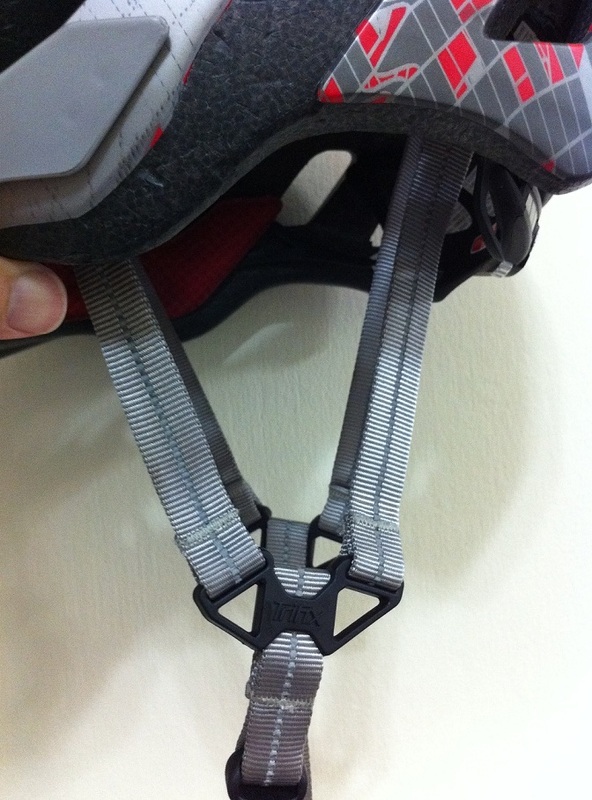 1 noticeable change (well, beside the design) from 2012 to 2013 model is the Tri-Fix straps that go under my ears. Prior to 2013 model, this technology can only be found in the higher range model. Instead of the adjustable straps, these are the fix straps that snag under my ears comfortably and forget about adjusting. The adjusting part can be very irritating for me as once in a while I have to make a readjustment. 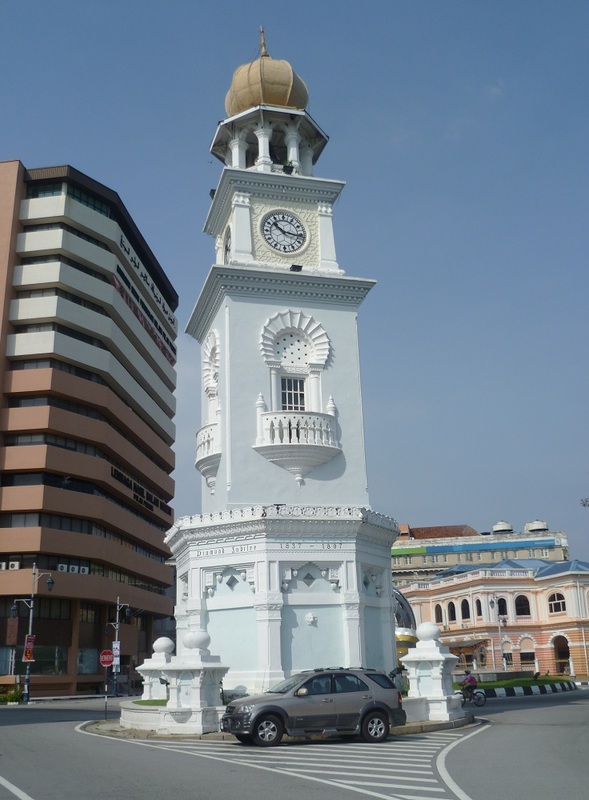 The weather in Malaysia can get as hot as 35 degree around noon time and super humid. So, getting a good air flow helmet is important for me. 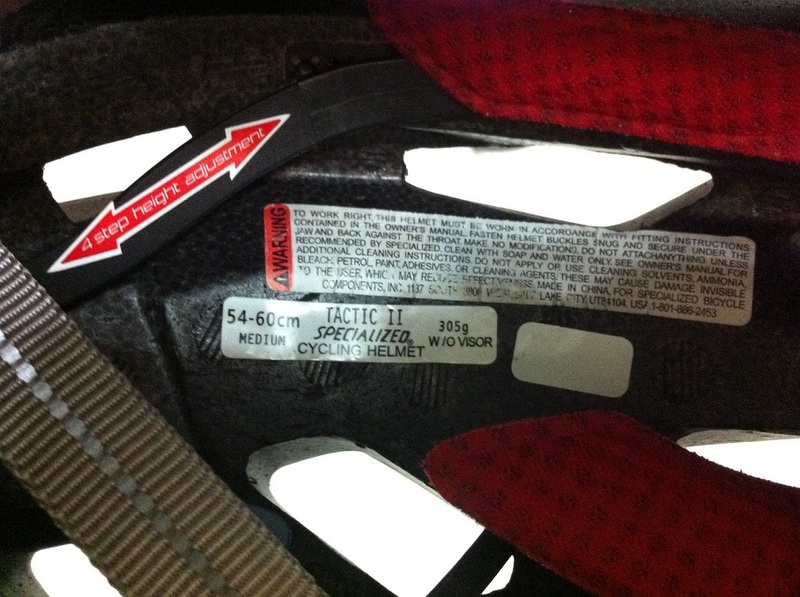 This helmet comes with 21 ventilated holes that runs thru from the front to the back. This really cools down my head. 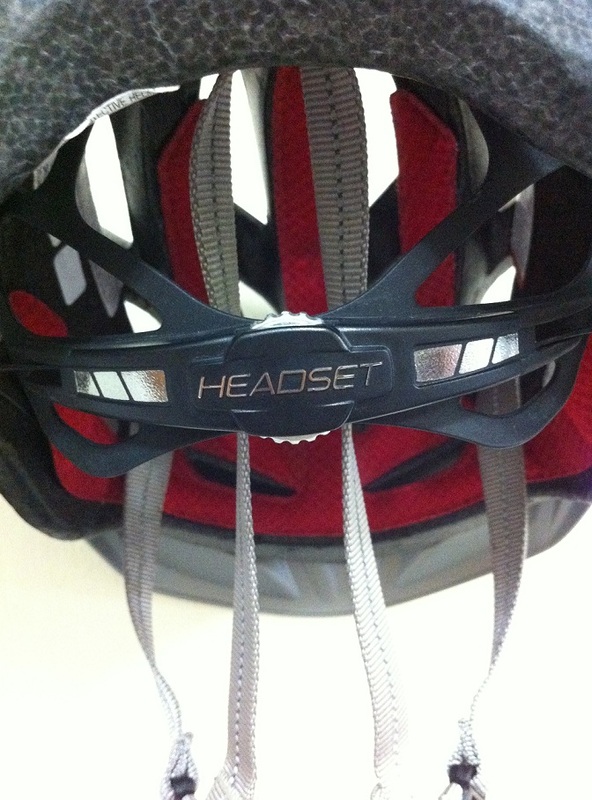 The Headset dial is easy to access and tighten. Also, the dial is big enough for adjustment even on a full finger gloves and doing it in 1 hand. Is 305g (medium size without visor) heavy for me? I believe this is based on individual liking. I don’t feel heavy when I put it on and I can pedal for 5-6 hours without feeling tired around my neck. 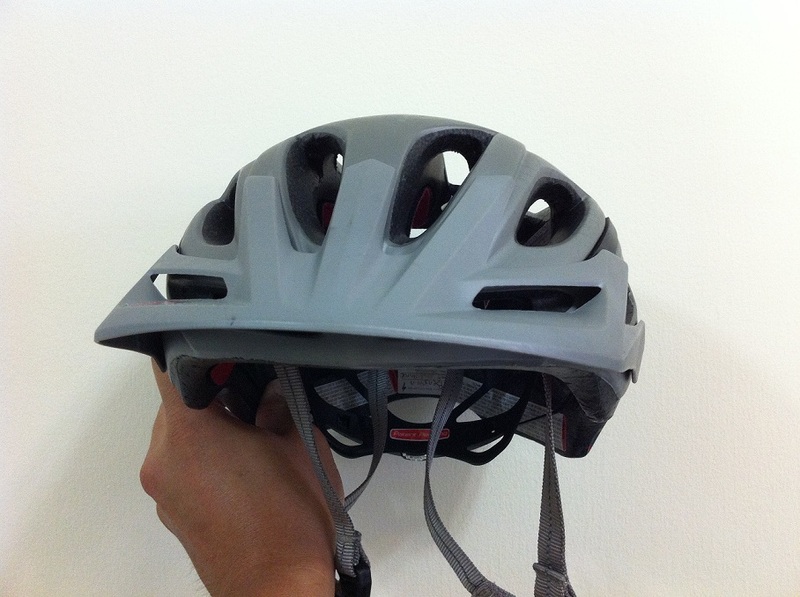 This helmet also comes with 4 height positions which can be adjusted to suit my head. There is 1 minor thing that I dislike is the fixed visor. There were times my view got blocked by the visor but it was not the end of road. I just raised my head up slightly. 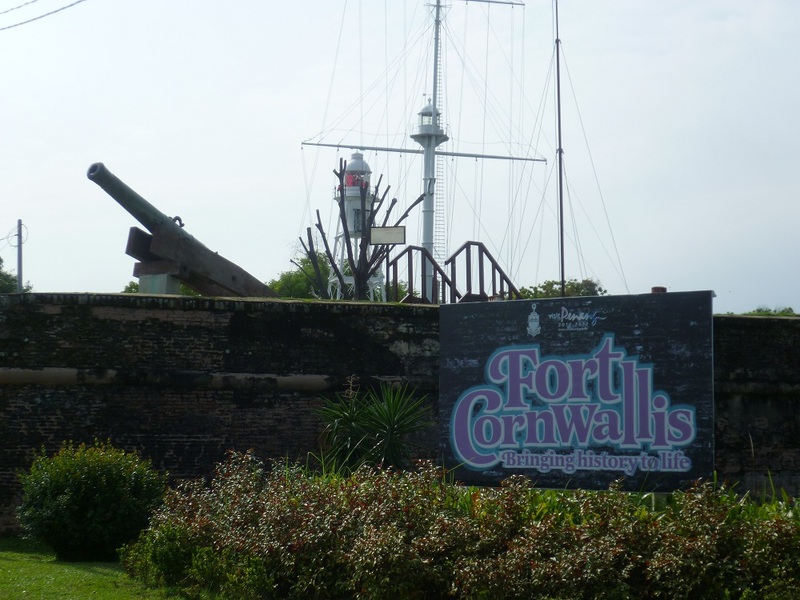 If you don’t like it, it can be removed or replaceable if you happen to damage it. 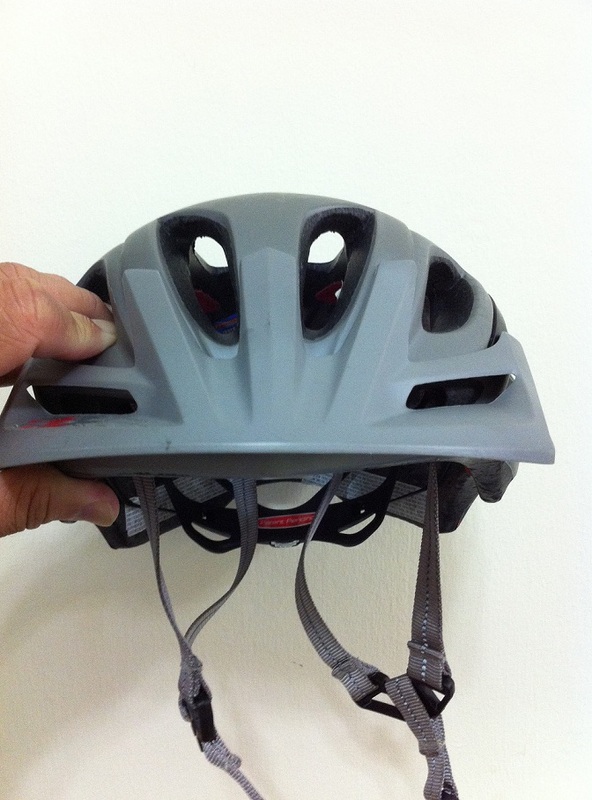 I believe the safety certification is pretty standard regulatory testing for bicycle helmets. It covers CPSC, SNELL B90A, CE and AS/NZS. 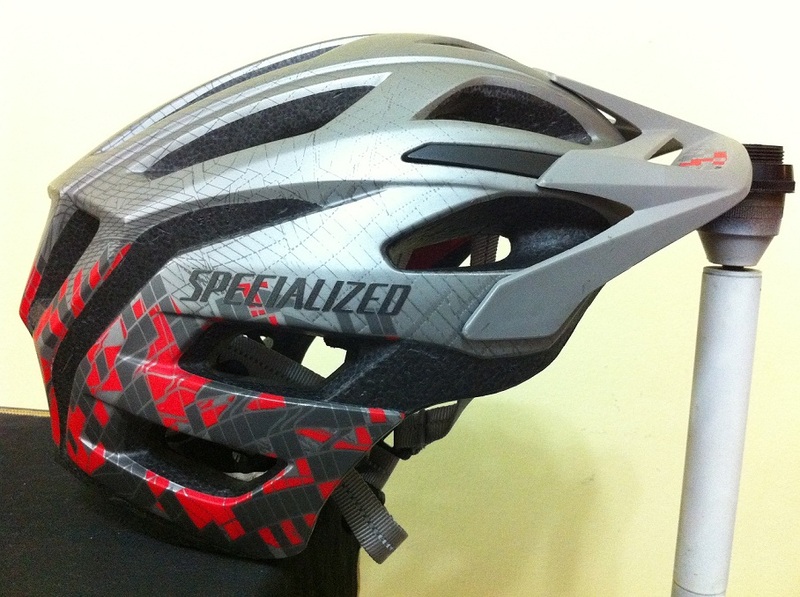 For RM 250, I get the protection that I need, good ventilation and Tri-Fix technology. I would say this is a good helmet that fit my wallet and head. 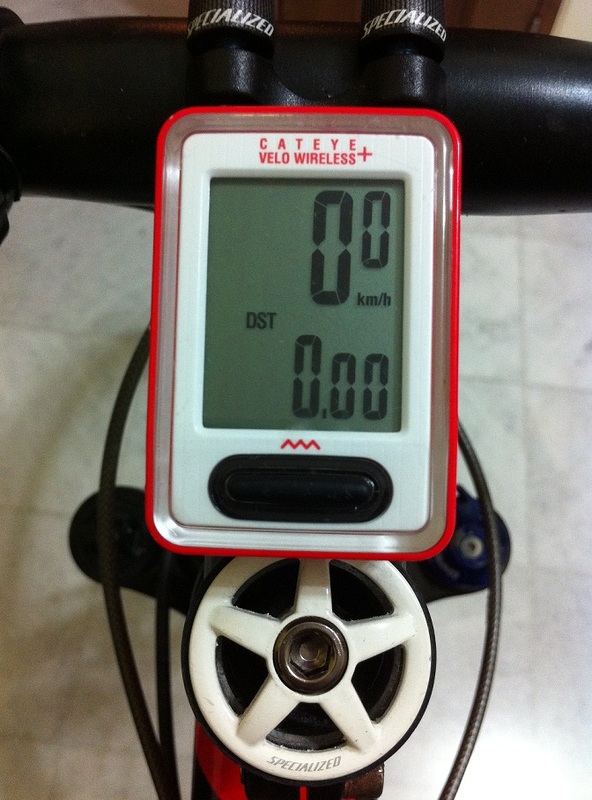 Today, I will be reviewing 2 different bicycle meters and they are wireless units. I think all of us who cycles know there are many types of bicycle meters. Some that can pair with heart rate monitor or power meter. But, what I have is something that is very basic and cheap (RM 100). This is the 1st meter I purchased together with my StumpJumper. It is the Cateye Velo Wireless. It has 9 functions – Total Time, Current Speed (top display), Distance, Average Speed, Maximum Speed, Calories burned, CO2, Odometer and Time. Below pictures are arranged accordingly to the 9 functions I mentioned above. On standby mode, it turned off all displays except for the Time to save battery (the 1st picture). I just replaced the meter battery after being used for 15 months. 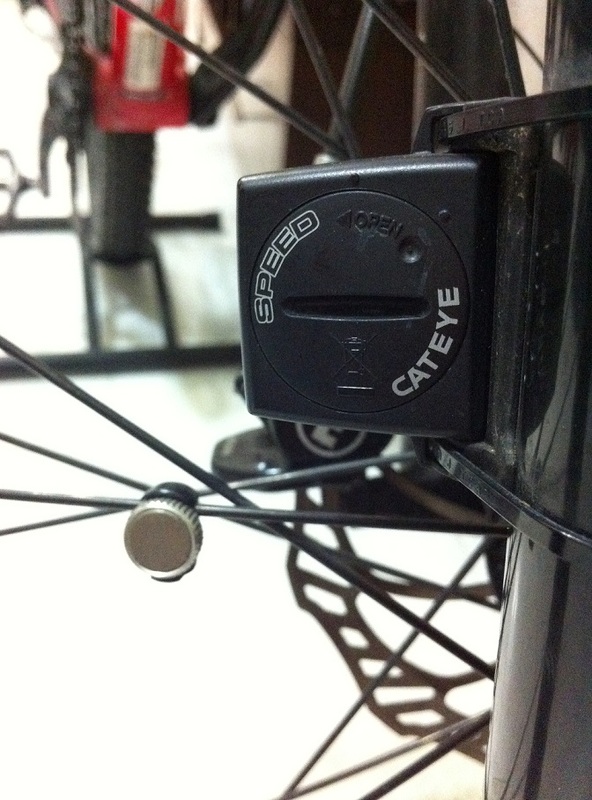 To install the unit is fairly simple by installing the meter on the bike stem and sensor unit at the fork. Also, it has a small magnet that goes to the wheel spoke. 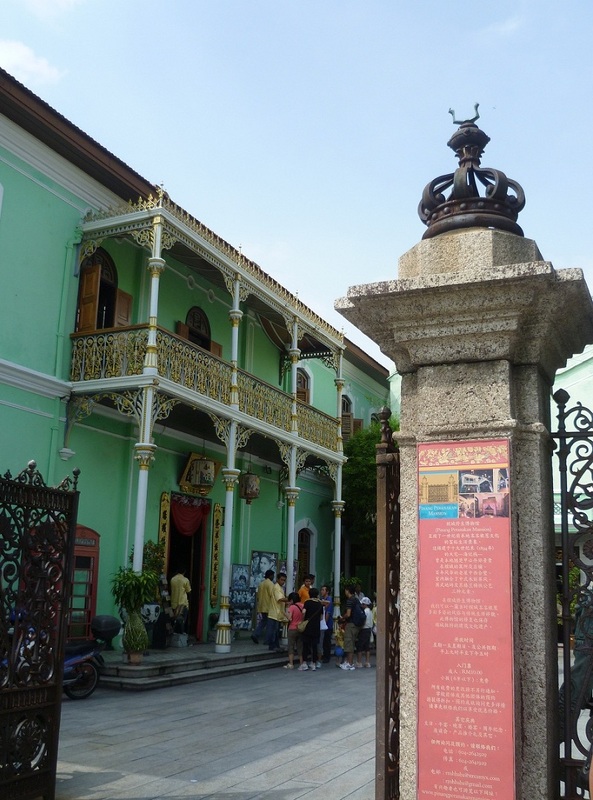 All mountings were provided with the meter. There are few settings on the meter needed to perform such as KM/miles, time and the wheel size. Of the 7 functions, I hardly use the calories counter and CO2 as those are just estimated units and I am not sure how accurate are those. 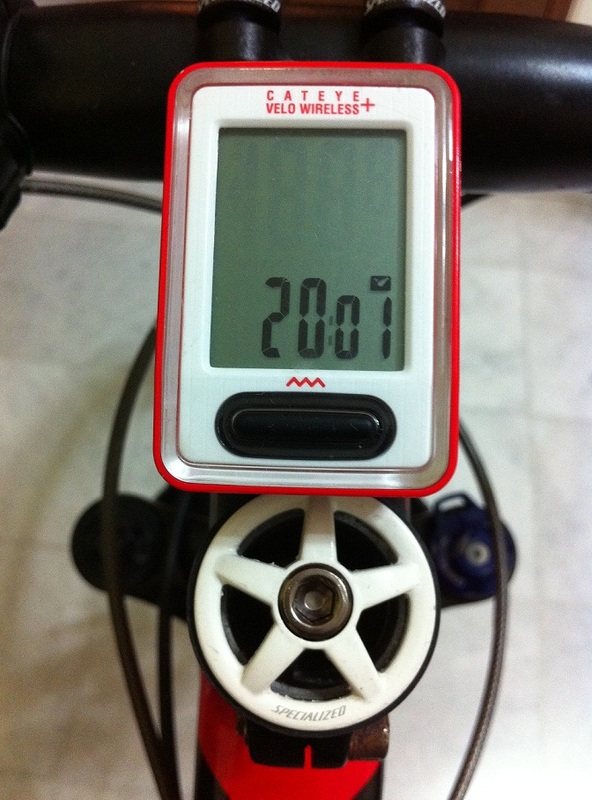 When I got my Cervelo bike I bought another meter. 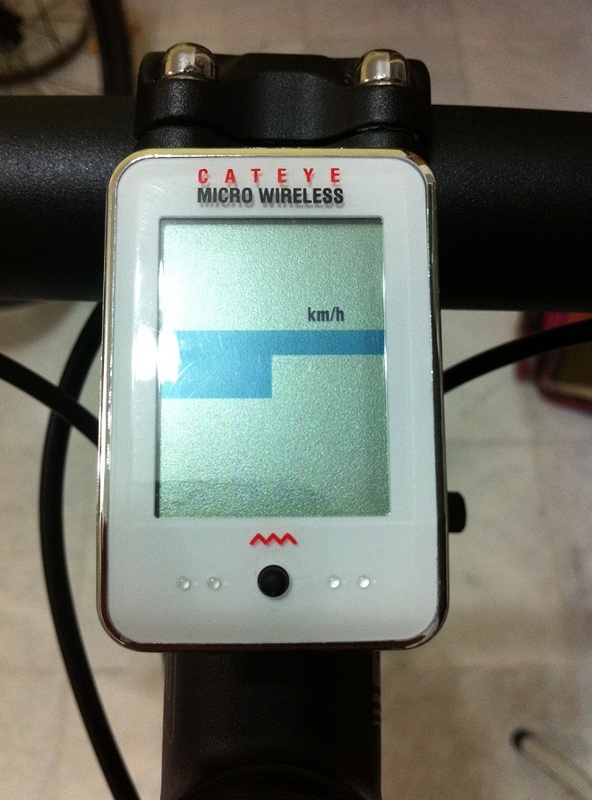 And this time is Cateye Micro Wireless. In terms of size, it is slightly smaller, thinner but packed with features. It has like 10 functions – Current Speed, Distance1, Distance2, Average Speed, Maximum Speed, Odometer, Stopwatch, Total Time and Backlight for night viewing. The clock is always displayed in the middle of the meter when the meter is on. OK, this meter is a way more complicated than the 1st one as it has a lot more settings. In additional to the above settings, it can set the backlight to turn on/off; it allows choosing either Total Time or Current Speed in the upper/lower main display; turning off/on for Distance2 and auto start/stop moving time. The backlight is not always on but it can be turn on easily by just pressing on the button. It is bright enough to have a quick view on your speed or distance. Both of these meters are very accurate (made a comparison with my iPhone GPS tracking) and reliable. It was rained on heavily, strong sunlight and the only thing that I cannot experiment is cold weather. But, I am sure Cateye has tested it. On power off mode, it will 1st turn off all other display but the clock. It will only turn off the clock after >12 hours of idling. 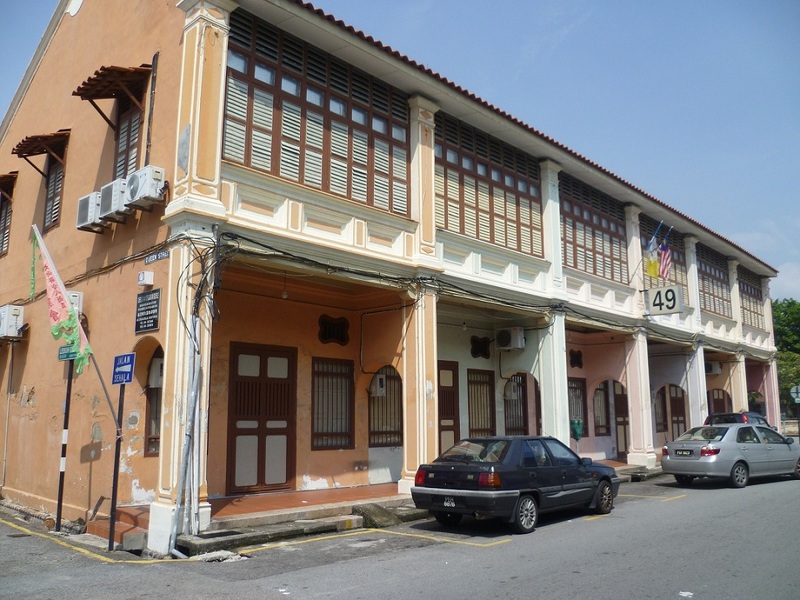 Priced for a new unit is RM 150. I would say this is still a reasonable pricing for a features packed meter. 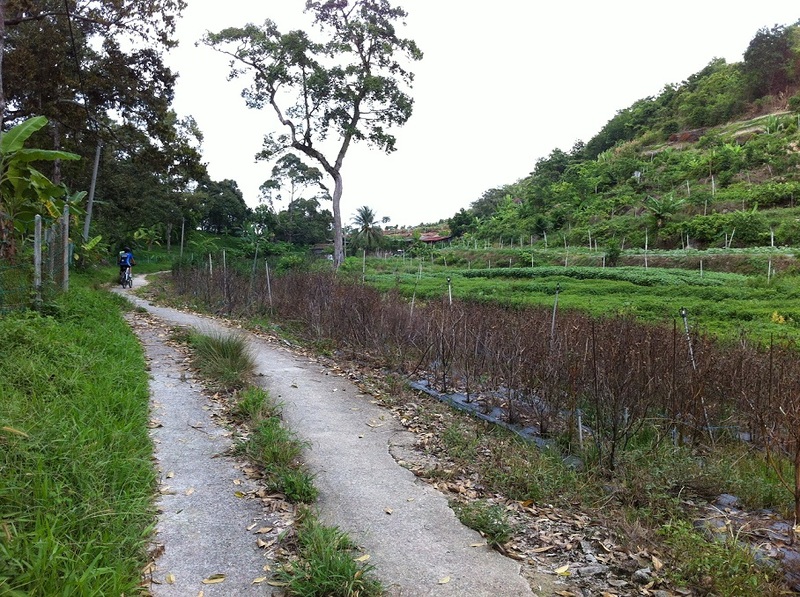 If anyone want to ride a single track, I would say go to Sungai Ara in Penang. It has so many trails there that sometimes you can lose your way but not completely lost. The reason is because it is not a jungle but fruits orchards. 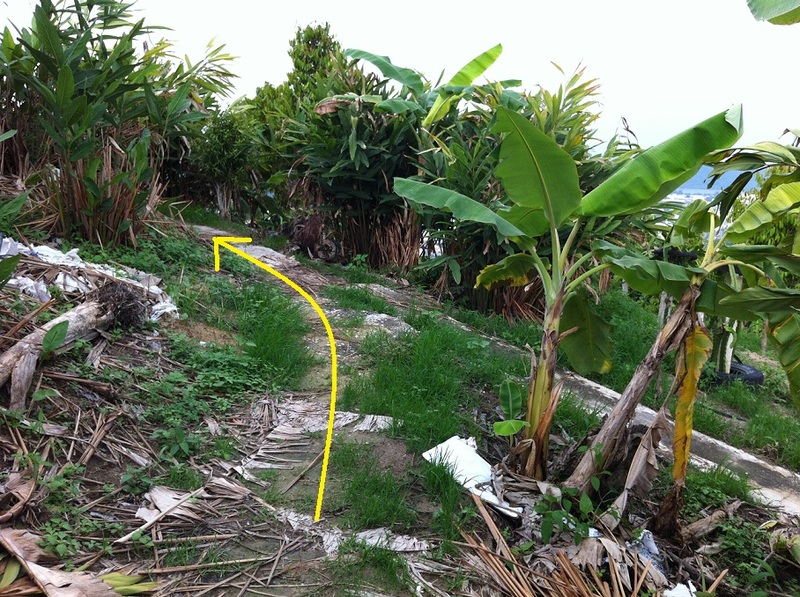 Most of these trails are cemented for 1 reason; it is for the farmers to bring down their produces to the city. 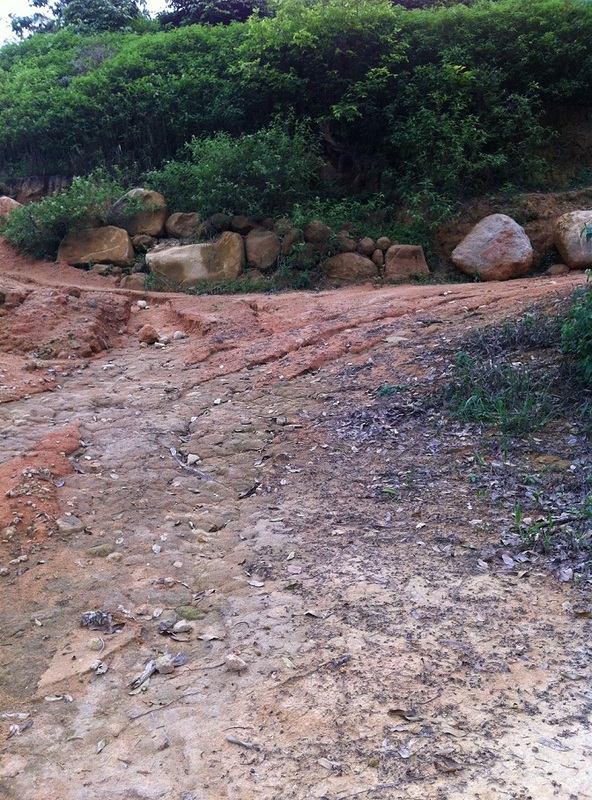 Some of these trails are quite bad maintenance but you are on MTB. That’s what it is built for. I would say 75% here are cemented and about 25% that is pure off roads. 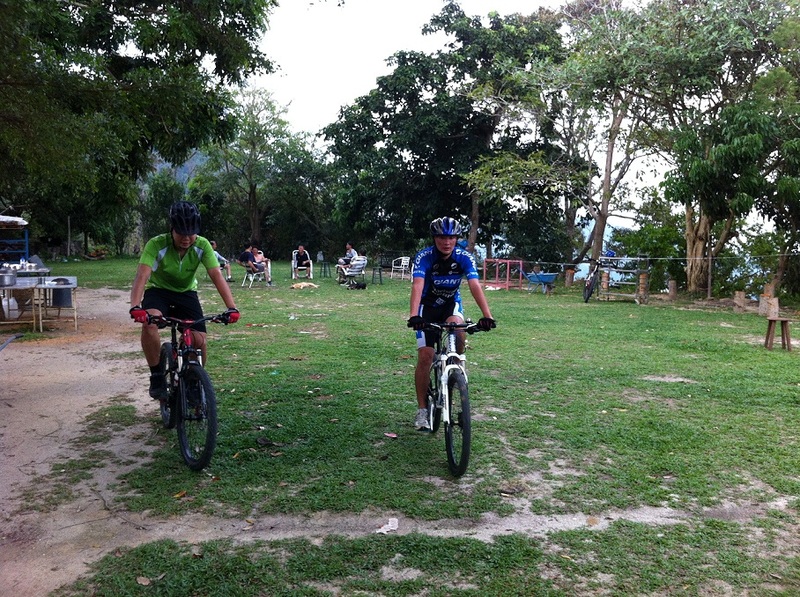 Trails in Penang are mainly going uphill and hardly any rolling. So, you got to have some physical fitness before conquering these hills. 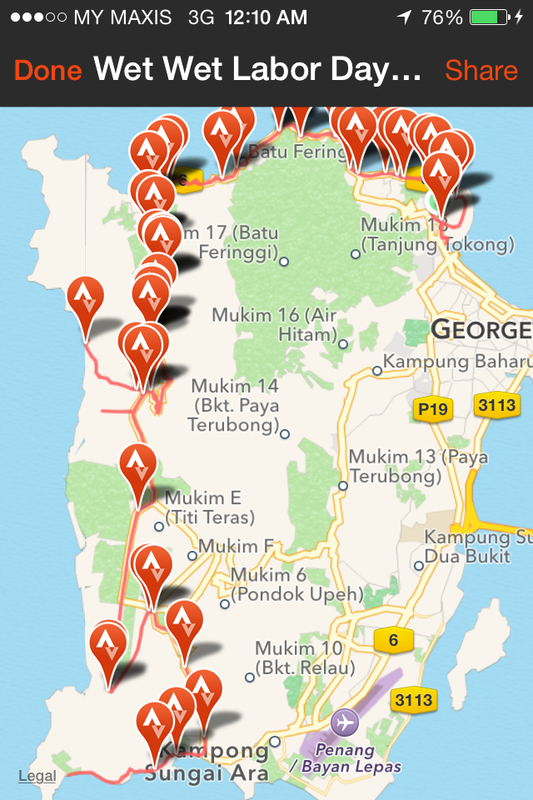 Some of these trails are interconnected with other hills and you can pretty much go to whole Penang by staying in these trials. 1 thing you need to be aware of is dogs. Since these are the orchard farms, the owner normally have a lot of dogs to guard the place. Not to worry so much though as some these dogs will let you past by but if you see a pack of dogs it is good to avoid them. Trails that I am going to write today are moderate hard. If you are to put that in no. from 1-10, I would give it a 6.5. Carpet Trail is very famous among cyclists. 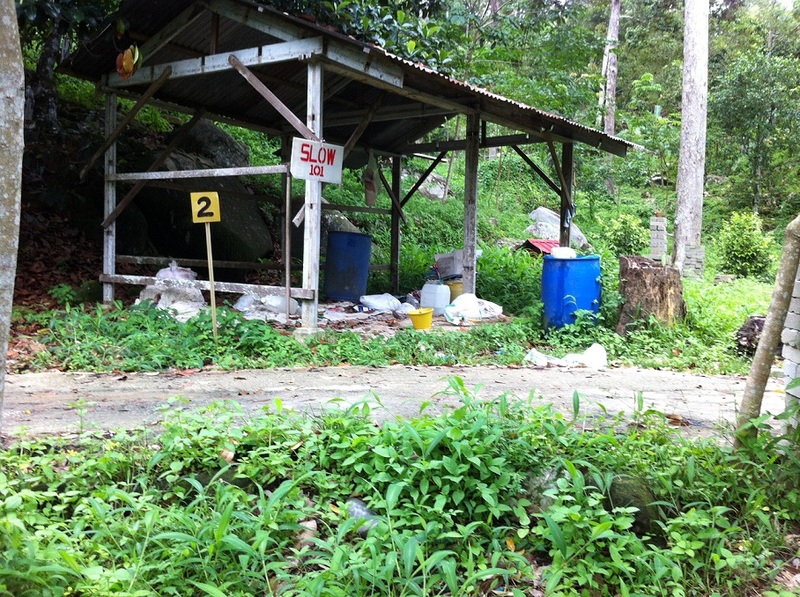 This is a place every cyclists will take a rest before proceeding with their other destination. Or they will just sit down there and chitchat. This place is safe to cycle alone as there are many cyclists going around in case you need an assistance. As said, all the trails are interlinked together, so there are many ways to get there. 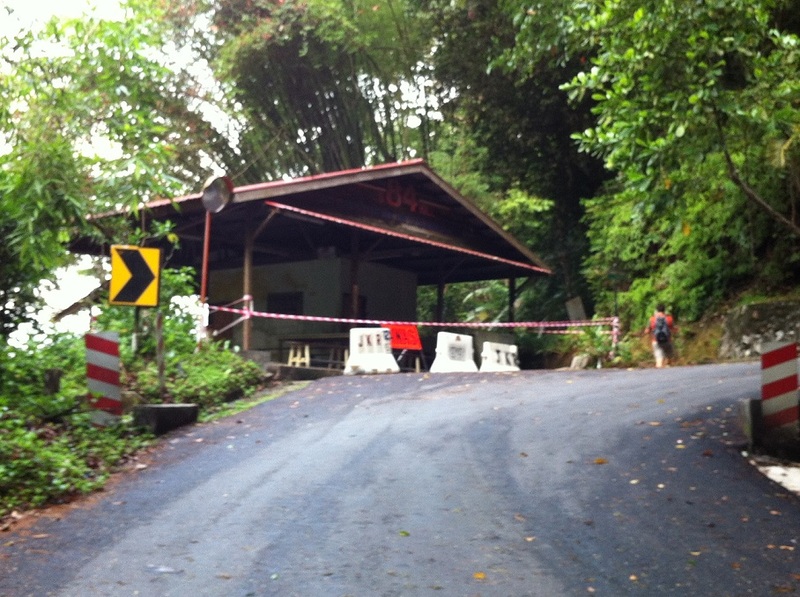 Normally, people will get in thru Jalan Kenari or known as Indian Temple (or some call MPPP in Strava). 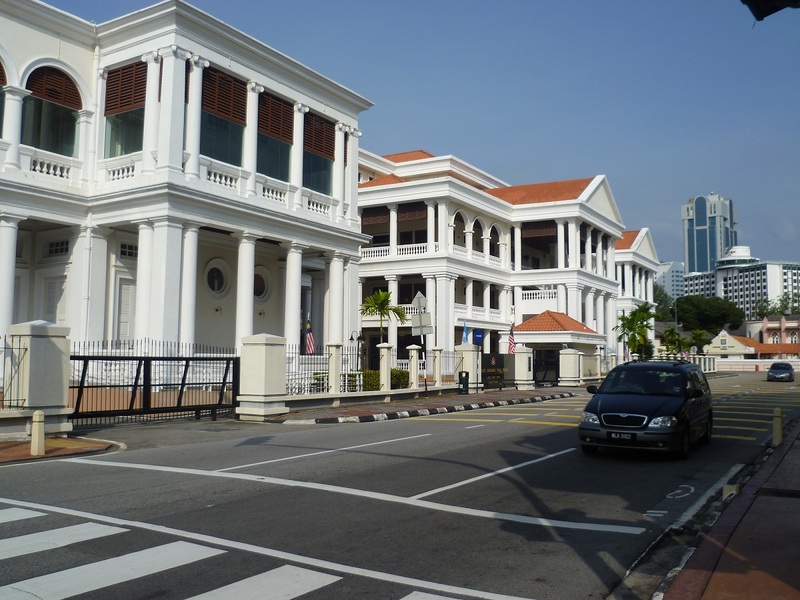 The other famous route is thru Jalan Fettes (not the one in Tanjung Tokong) or it is also known as Cherrie Blossom entrance. I took the Indian Temple trail the other day to start off with an easier trail for the week. 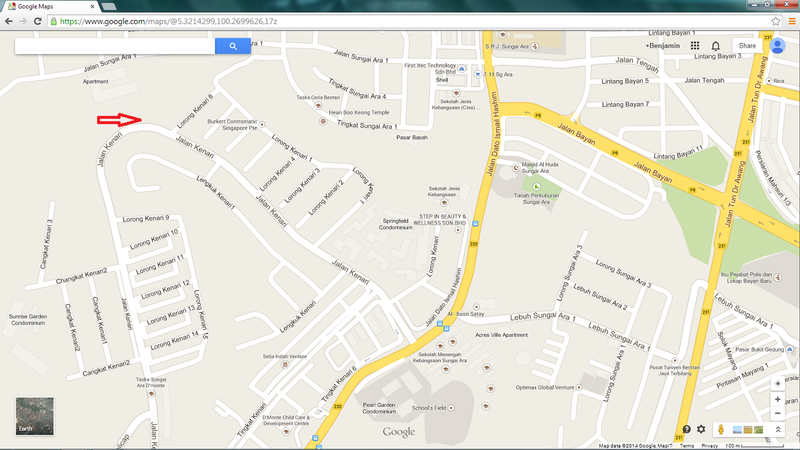 Below is the map and the pictures showing how to get there. 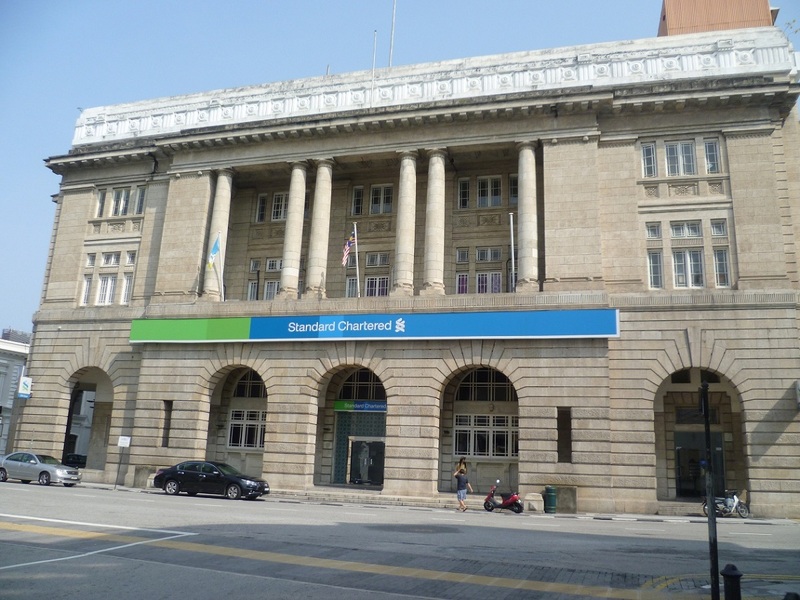 All the pictures below will show you the direction how to get from Point A to Point B. If I didn’t specify anything means just go straight until you see a junction which I have clearly stated in the pictures below. 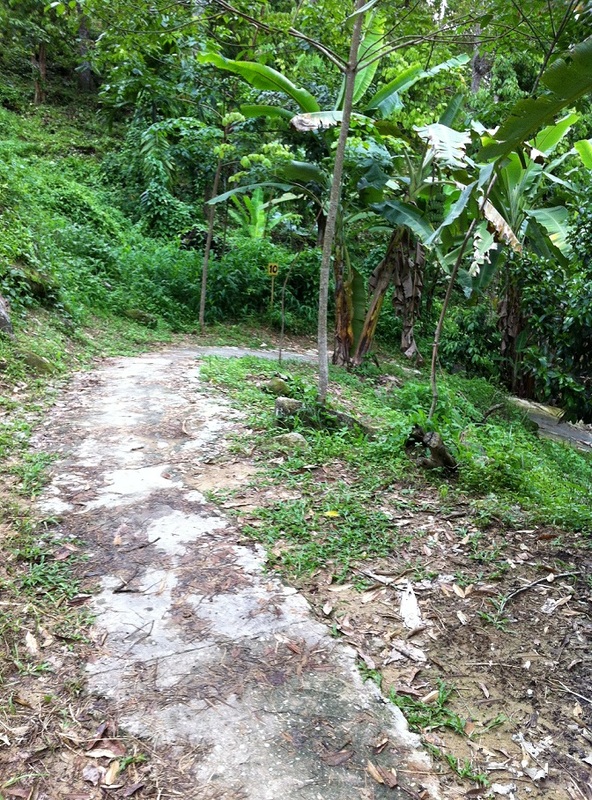 This is the start of the trail and it is just next to a Indian Temple which you cannot miss. 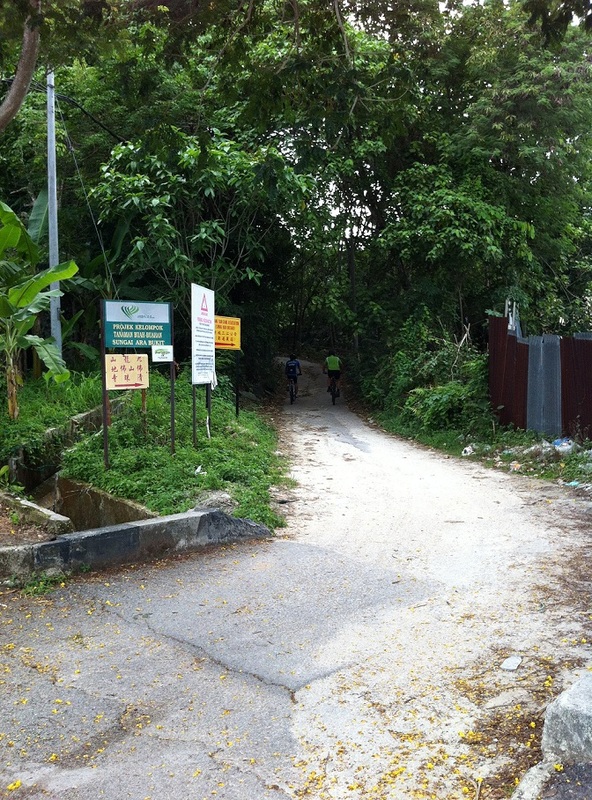 The beginning of the trail is an easy ride for ~2km. Just watch out for motorbikes and speeding cyclist. Just stay left and you should be fine. 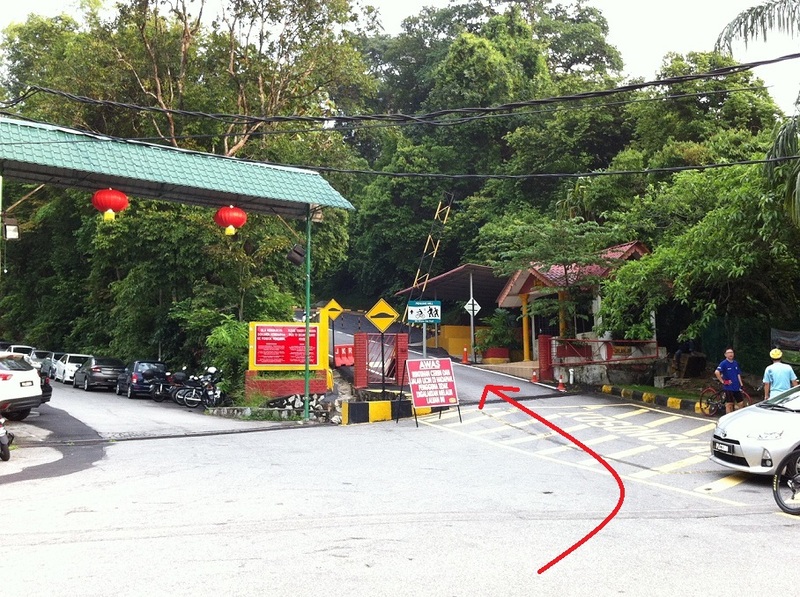 When you hit a junction, follow the red arrow that I highlighted below. 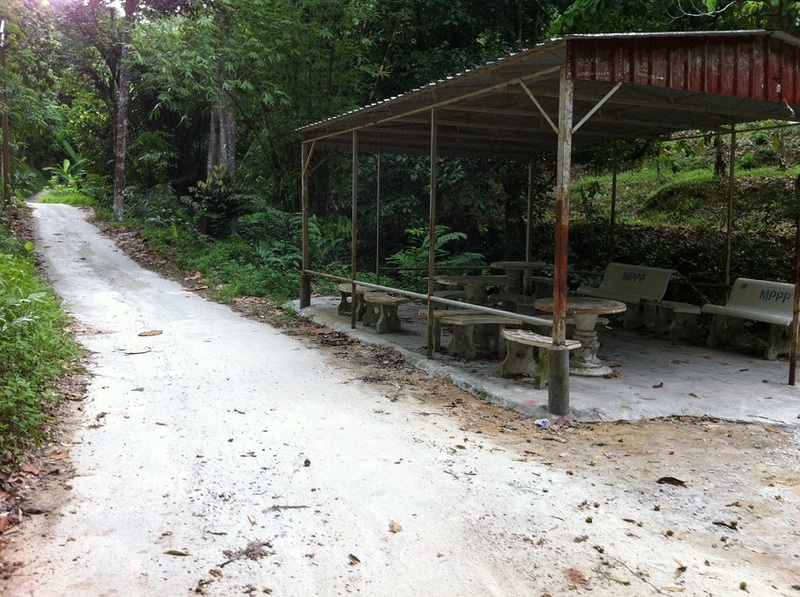 After that you will see a hut with benches written the word MPPP and you can guess where they get the MPPP Trails coming from. But, don’t go straight!!! 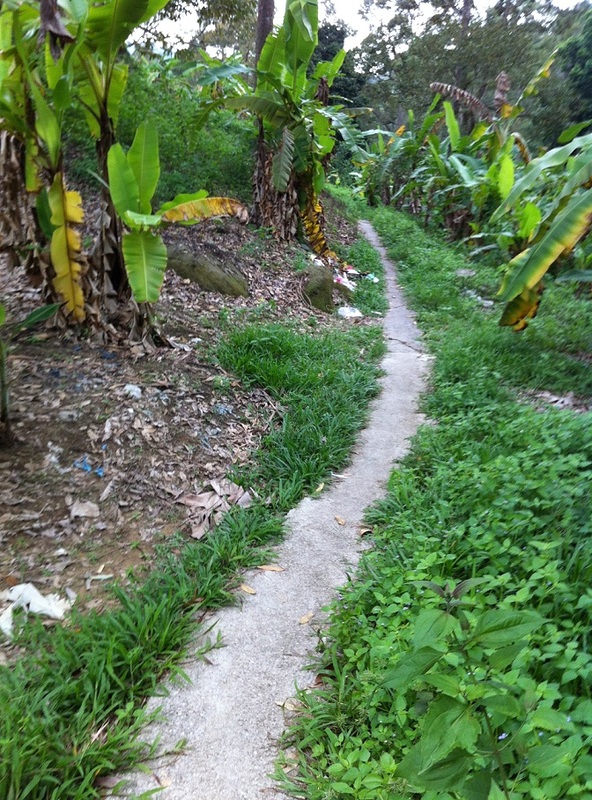 Instead take the path on the right to Rubber Trail. 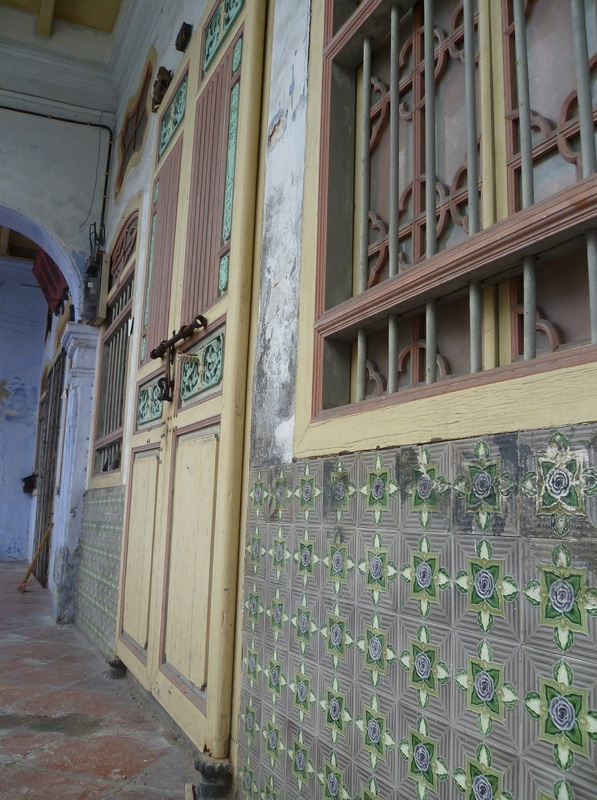 Then you will see another smaller entry. 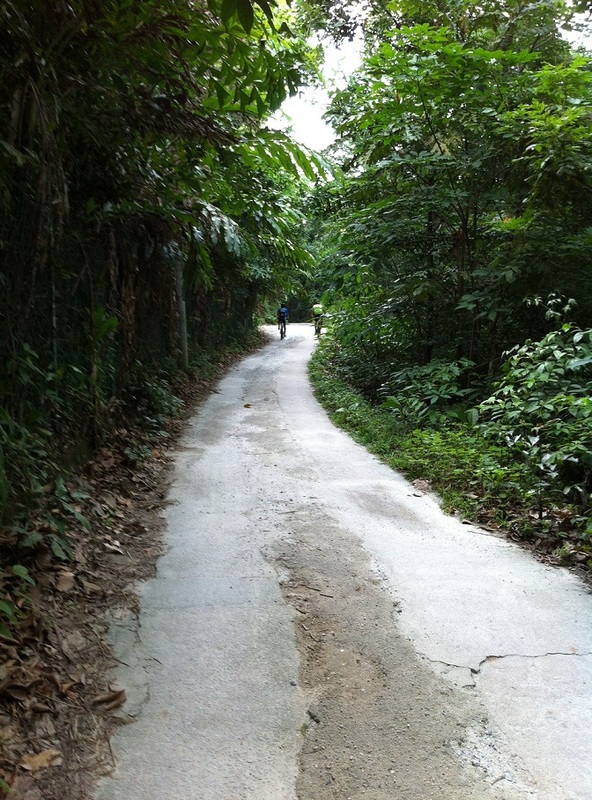 *Updated Pic – recently I had a ride in Sg Ara and I found out that the trail has been changed as they have widen the path. So, this is an updated pic for you all. So, why is it call Rubber Trail? The picture below explains it. 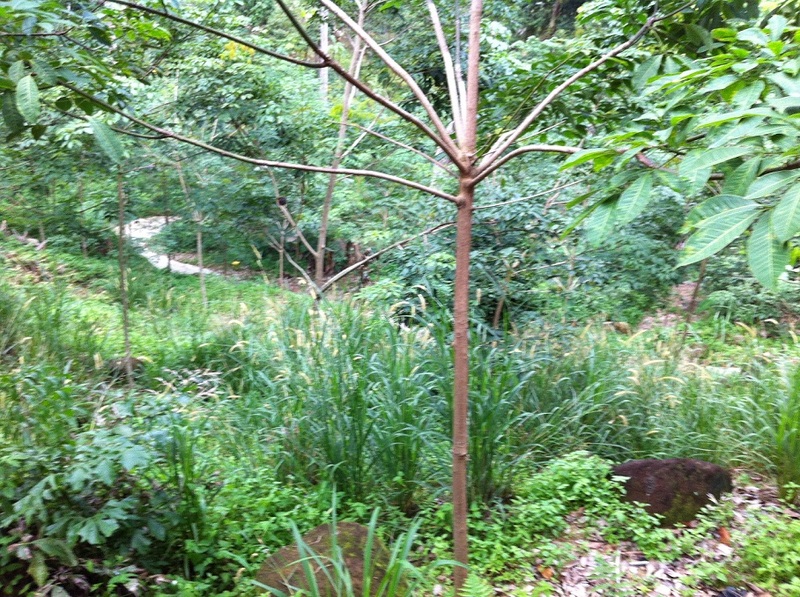 Both side of the trails are plant with rubber trees. 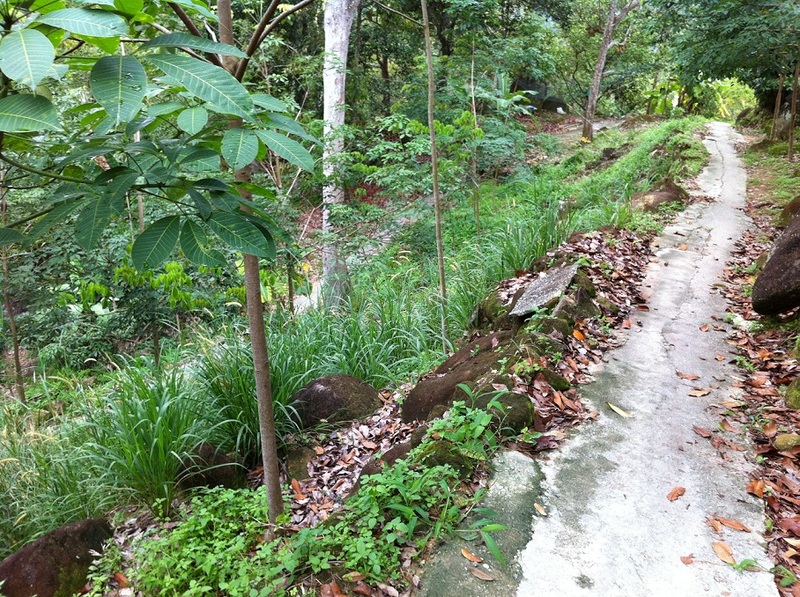 This part of the trail can tend to be slippery during the monsoon season as it covers with moss. 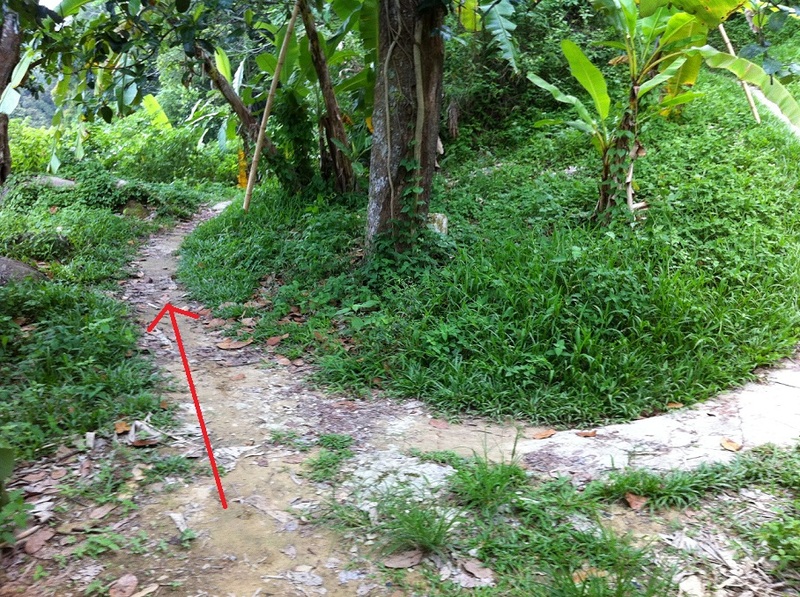 As you exit from the Rubber Trail, turning left here will lead you to Farmer’s Trail and going straight down is Zig Zag. I will write about it next time. For those of you who wants to do an additional distance you can opt for right turn (or red arrow). 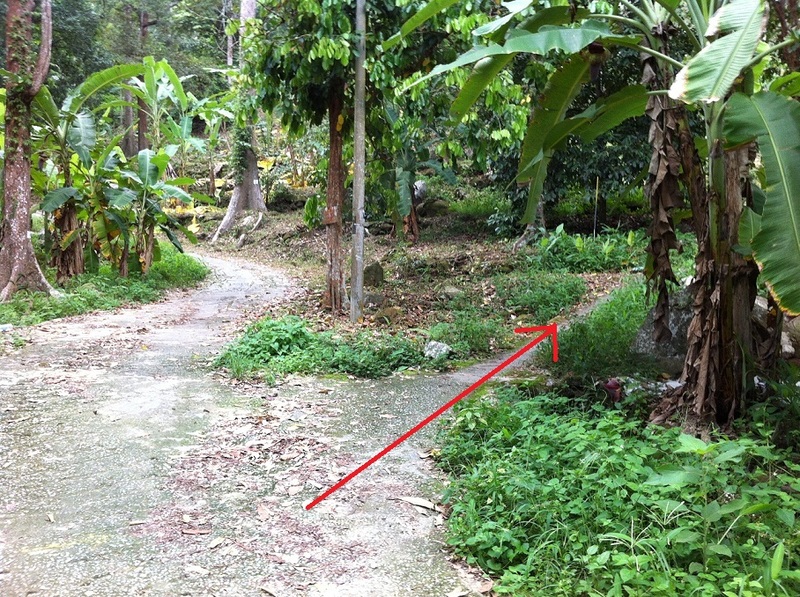 If not, just follow the yellow arrow which will lead you to a same place later. 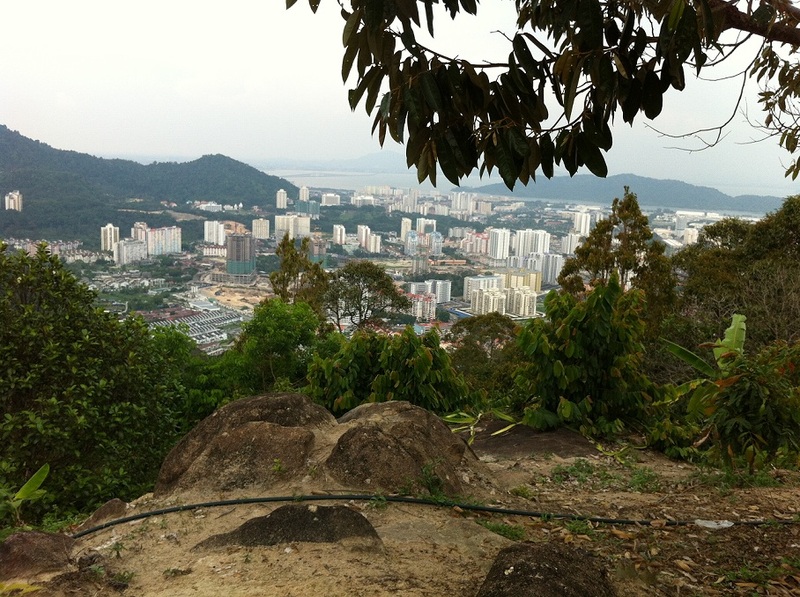 By turning right, it is just making a loop around the orchard but gives you a nice view of Penang. 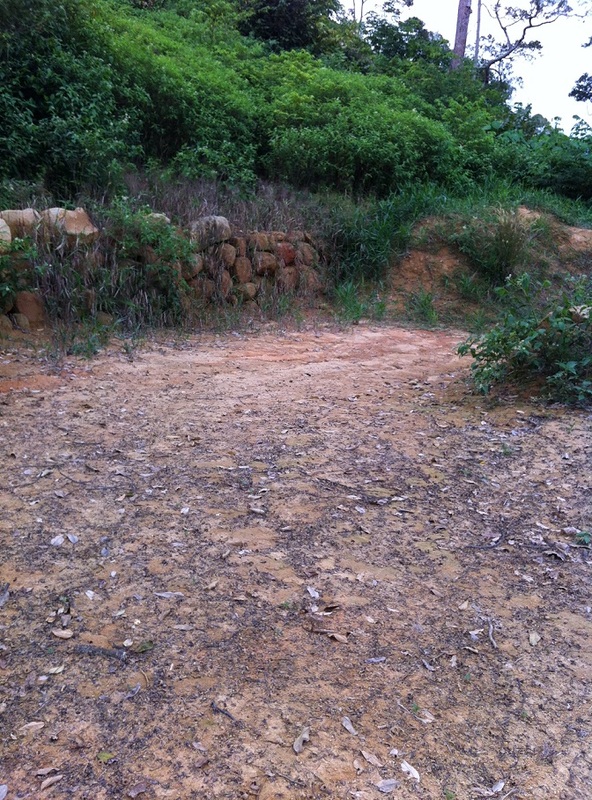 And, this part of the trail is partially off road and cemented. So far no one has name this trail officially. 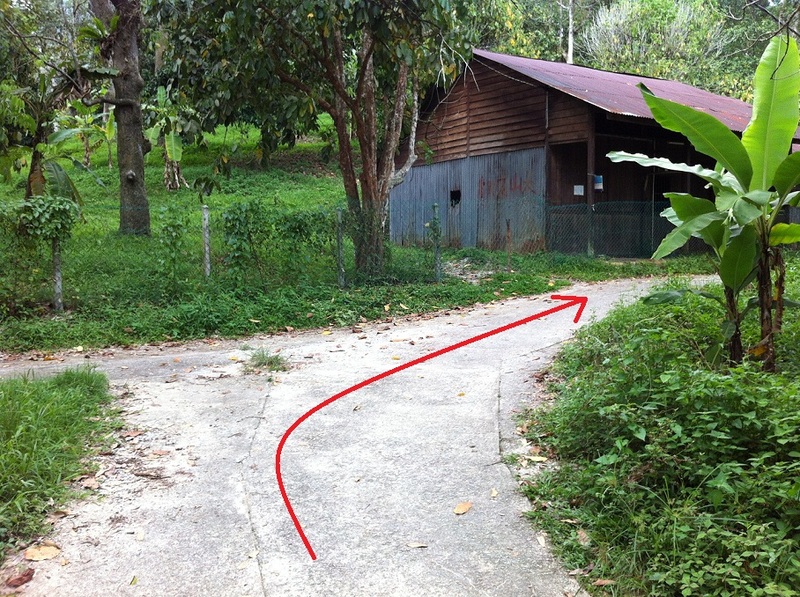 Some call it Chicken Trail (because it has some poultry at the trail) and I call it Bird House Loop as it will lead to a swiftlet house farming. 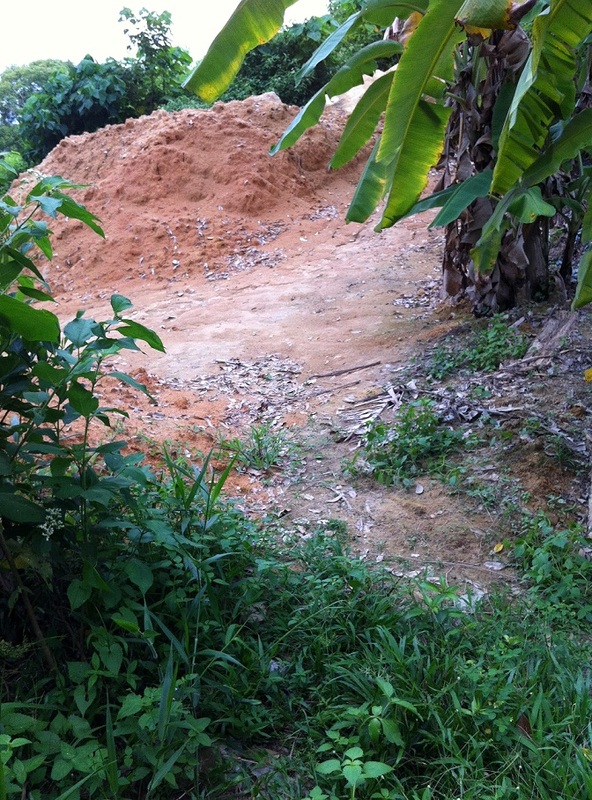 Ta-da… Both trails will eventually meet up again. 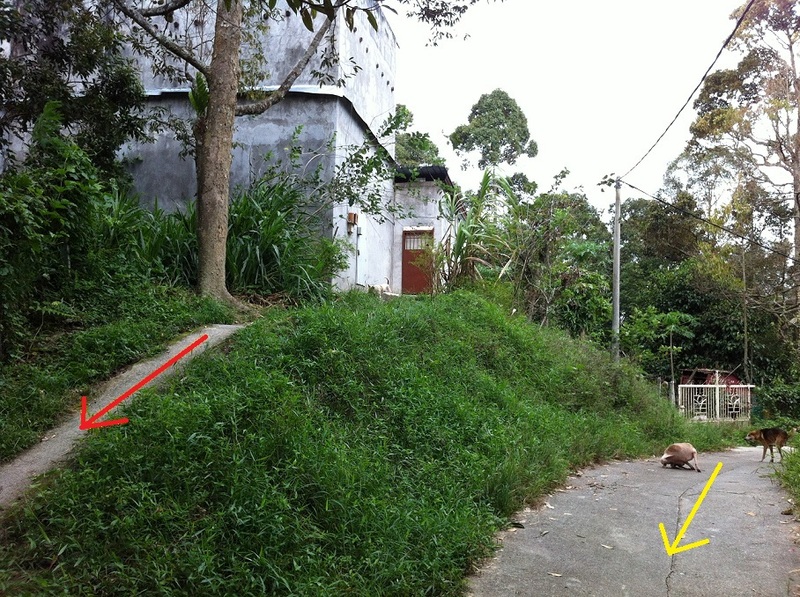 Remember the yellow arrow that I mentioned in Picture 1 and the swiftlet house. 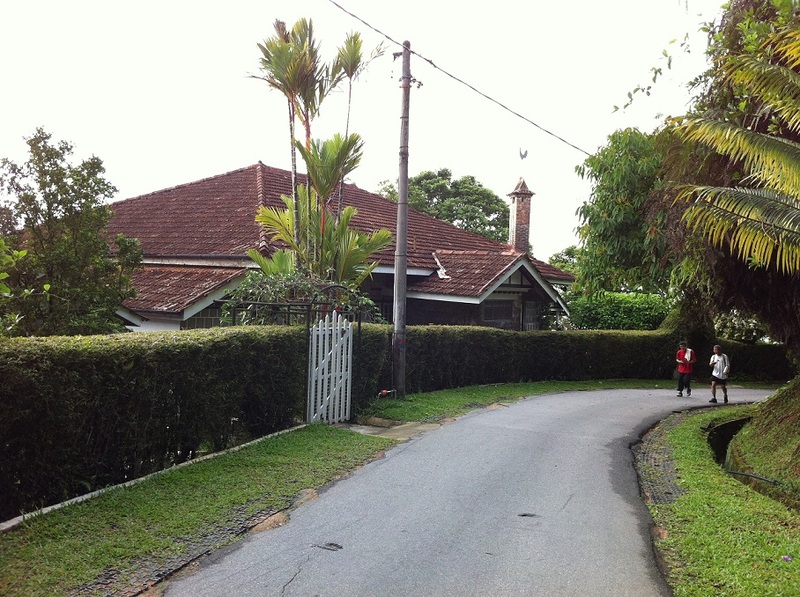 This is the house where they farm the swiftlet bird’s nest. The Chinese believes the bird’s nest is good for the lung and smoothen the body skin. OK, back to the Farmer’s Trail. Not long after coming down from the Bird House Loop you will hit another junction. 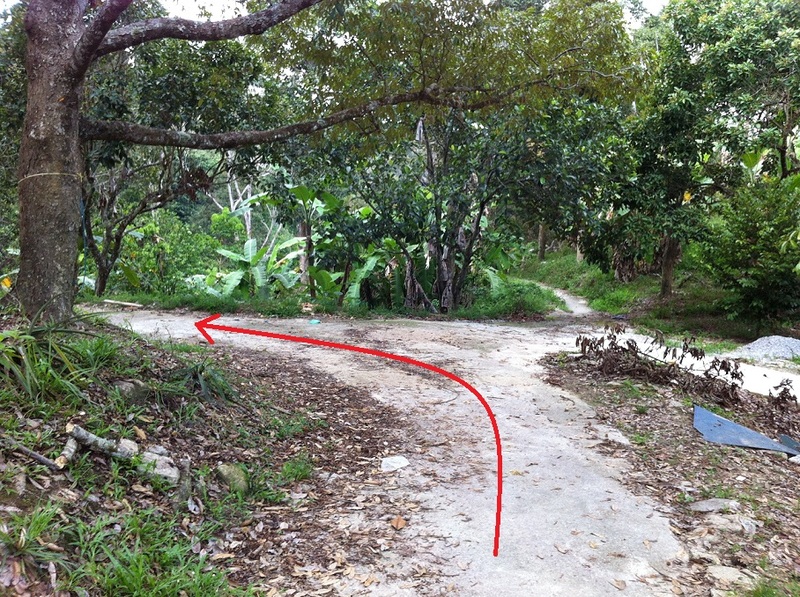 Just follow the arrow and it will lead you to a farm (picture on the right). That was why they name this trail Farmer’s Trail. Just follow this way until you hit a tar road and just turn left and going uphill. By this time your energy may drop to half and you have an option to cut short to reach carpet or do another loop. If you are opt for more, than you should take the picture on the (below) left for another km more. Just take note of the rock wall and turn in. If you are pretty much done, then just follow the tar road and it will lead you to Carpet. Alright, for those of you who wants more, then just follow this path. 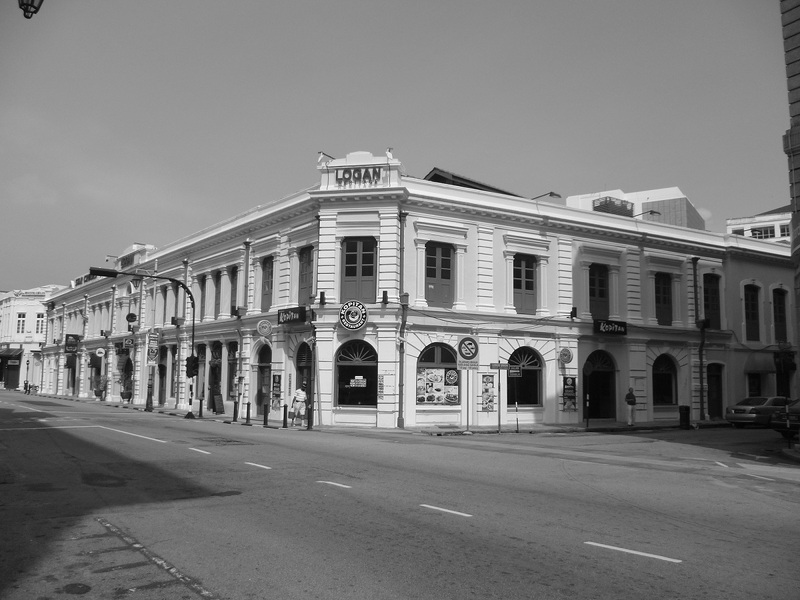 These are the pictures I have taken on every junction. Just follow this and it shall lead you back to the main road. 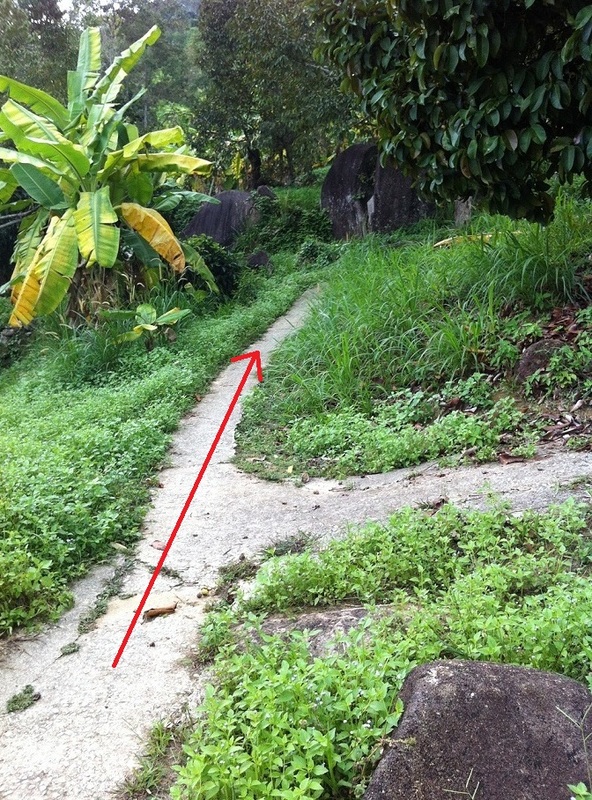 After taking this path, it is just downhill only. At a point you will need to do more decision making. 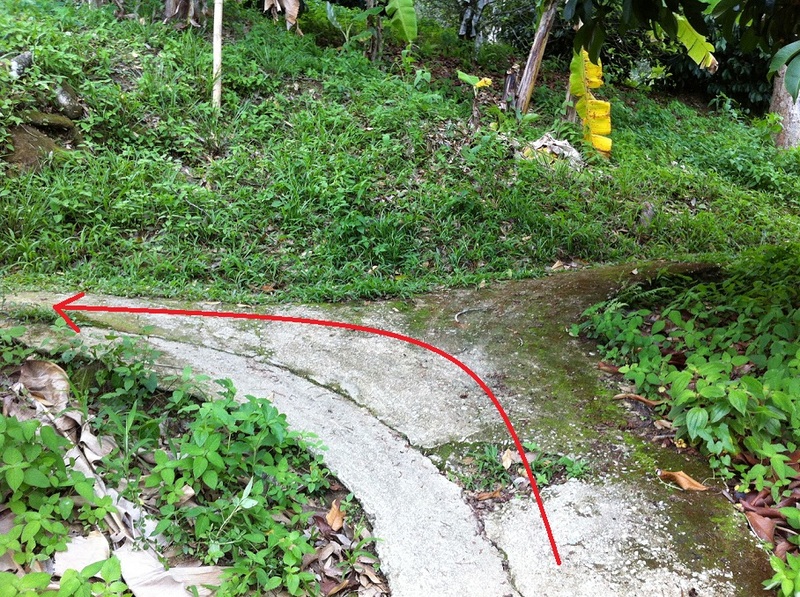 You can continue going downhill on the cemented track or going off road. 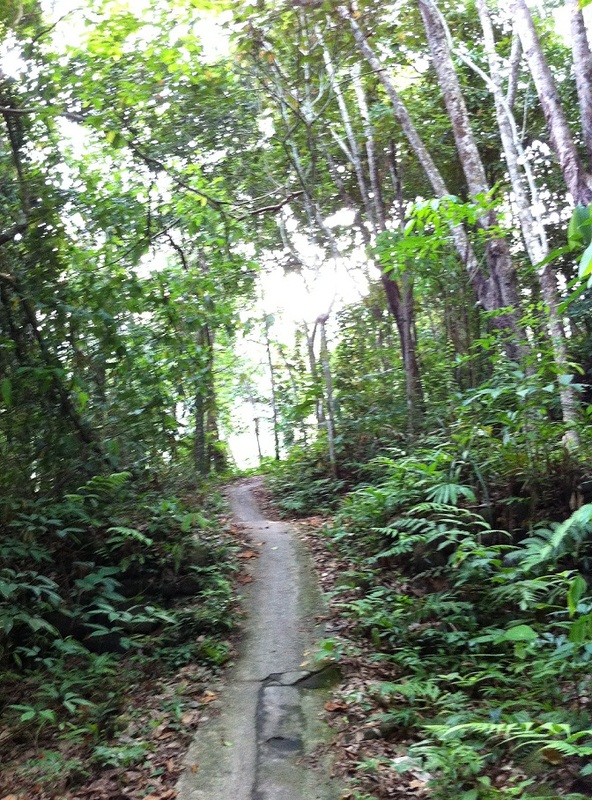 It is a very short off road and not a difficult trail too. The path is so big that you can move a truck there. Below are some pics of it. Eventually, it will lead you back to this main road going Carpet. Just another 1 or 2 km more, you will reach Carpet. Basically, it is just 1 flat land at top of a hill. You can backtrack where you come from (minus all the additional loops) or you can ask anyone at Carpet how to get back thru Reverse Carpet. Another alternative is going back thru the tar road which I can almost guarantee you that you will not get lost. 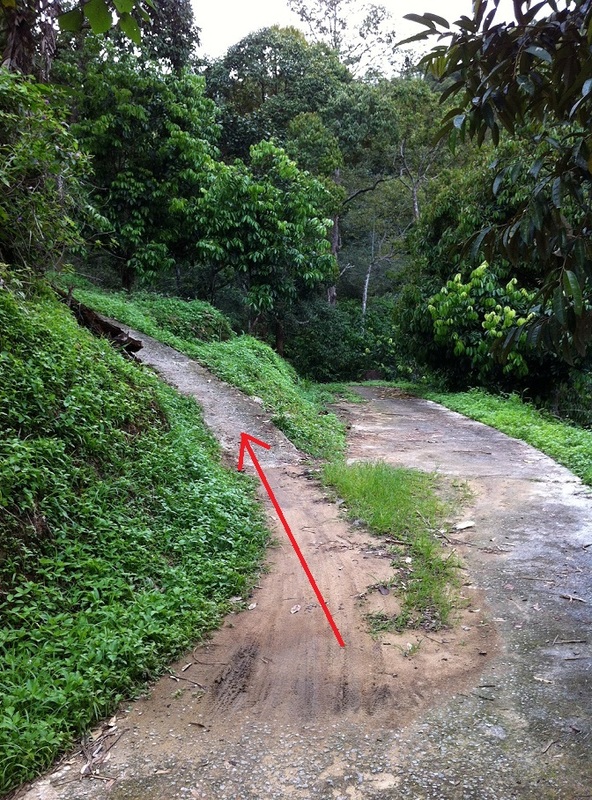 If you are using the tar road, just going down straight and no turnings. 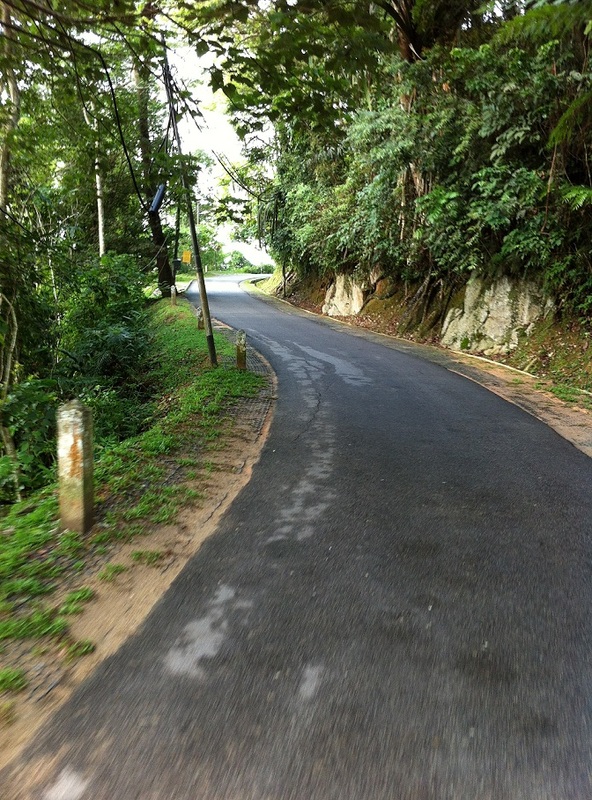 If you happen to pedal uphill again, means you are in the wrong direction. This is just a small portion of Carpet Trails and I shall write more next time. 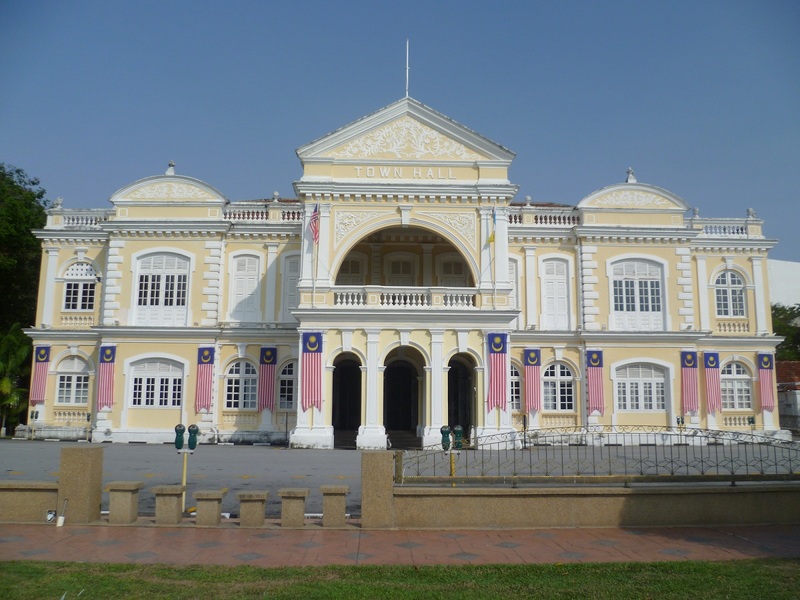 Yesterday was a Labor Day in Malaysia and I have taken all opportunities to go out there and ride. 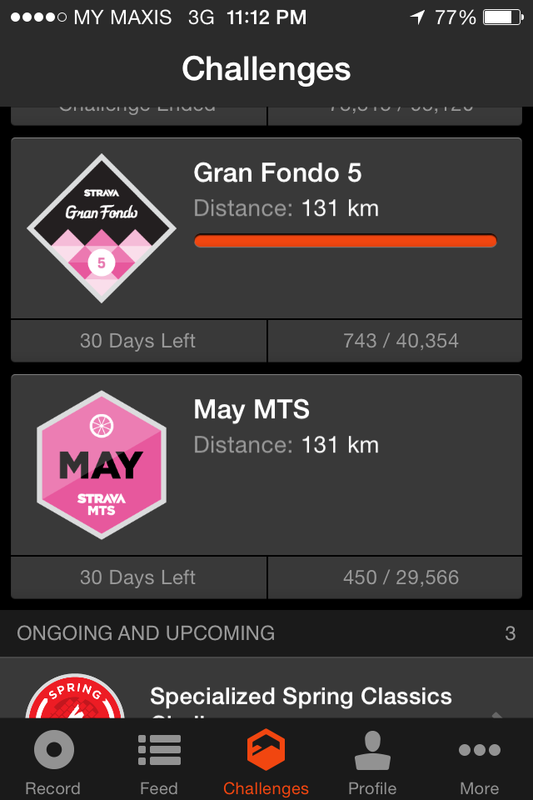 As mentioned in my earlier post, I have just joined the Strava Challenge for the month of May. 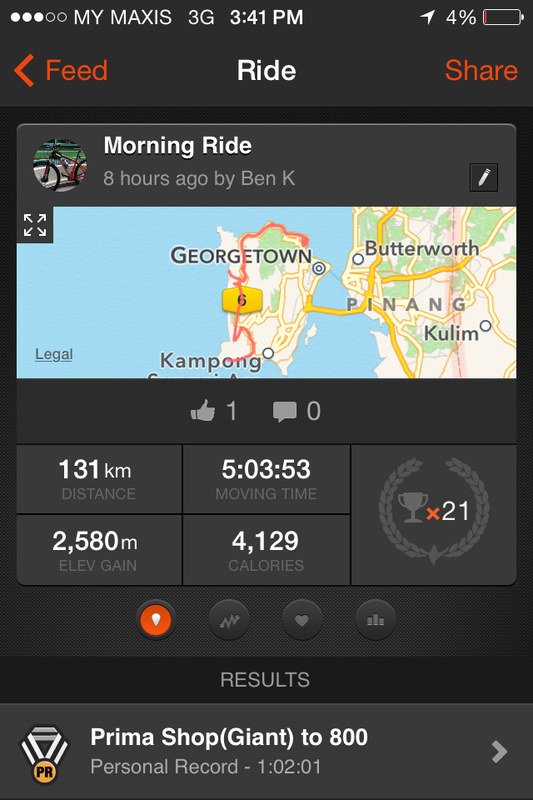 It was a 130km Gran Fondo and it is very hard to do a 130km in this tiny island. 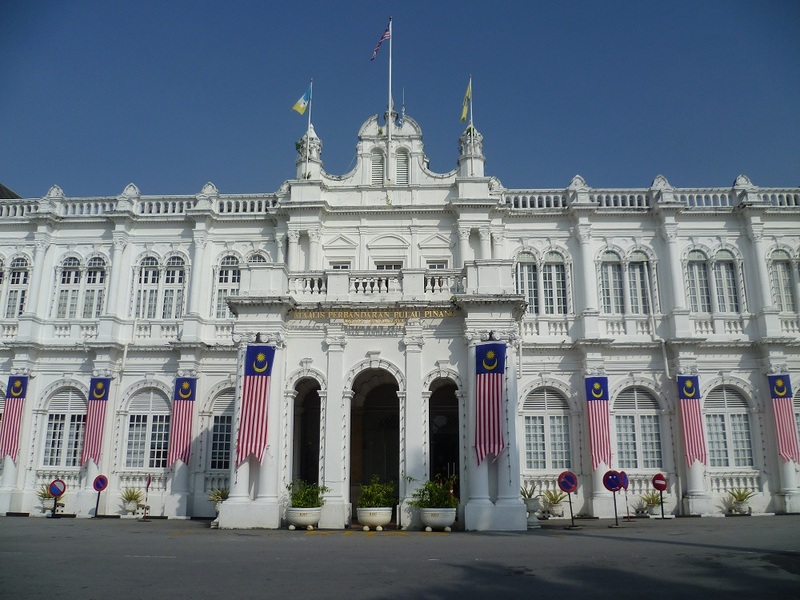 If you are to drive around the Penang Island, it covers only 78km. 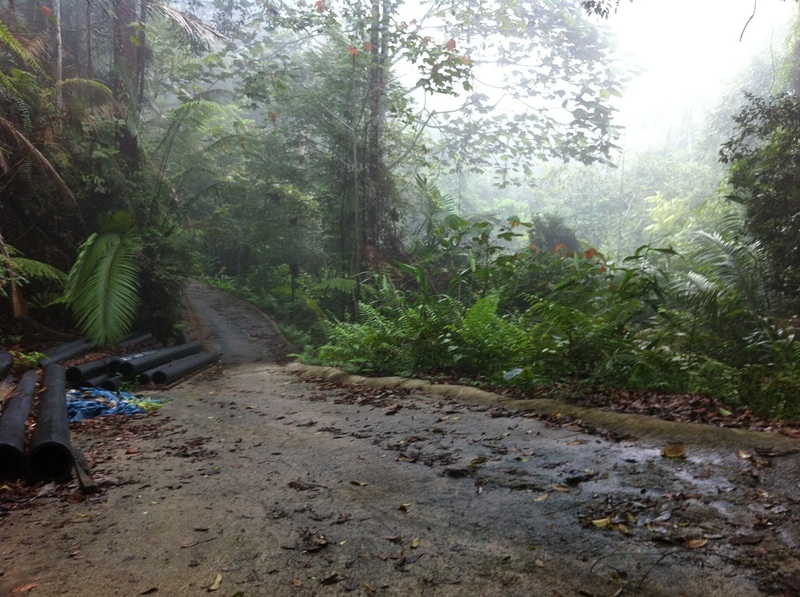 So, what we did is we went thru more than ½ of the island and going back thru the same route. 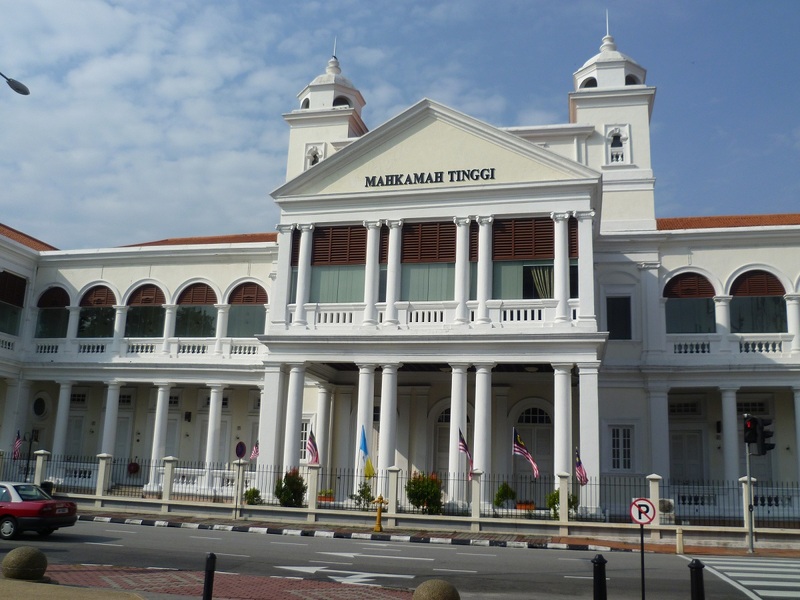 Also, we were making detours to Gertak Sanggul, Pantai Acheh, Kuala Sungai Pinang and many rounds in Strait Quay just to cover enough 130km. 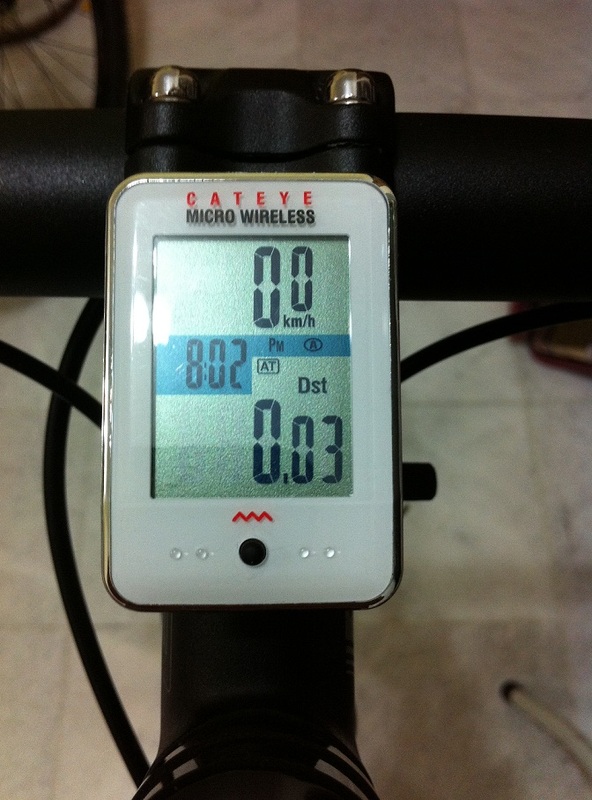 It would have been a perfect ride if it is not due to a pouring rain especially we still had 40km to cover. 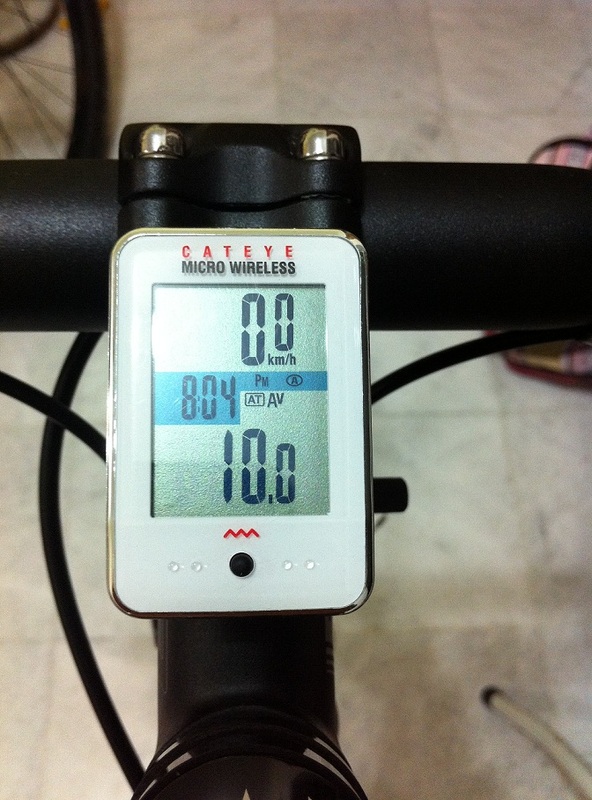 I have done >100km ride in 2 different routes. 1 is thru southern part and the other from the north. 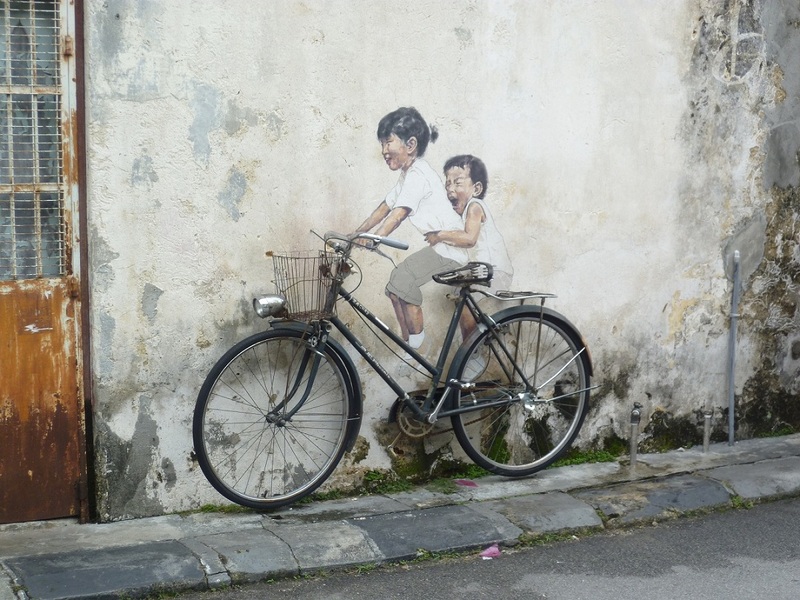 If you have your bike fitted with high profile rims, it is better to cycle from the south. 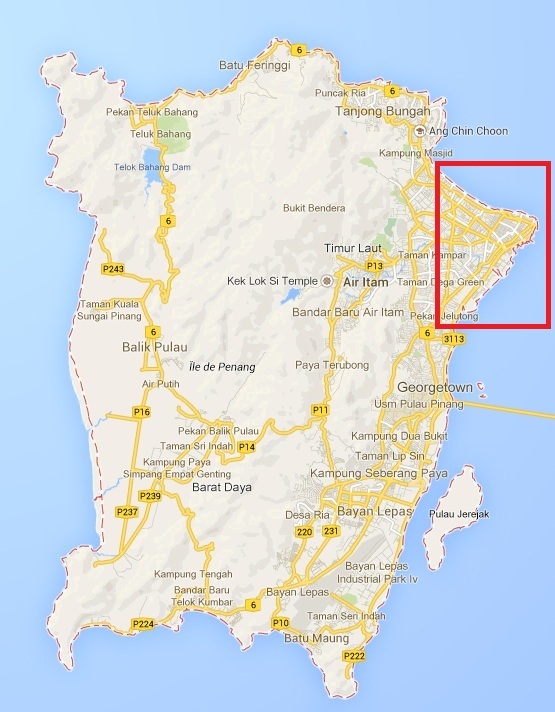 Reason is it covers more flat land especially on the east coast of Penang. The northern part is another perspective. 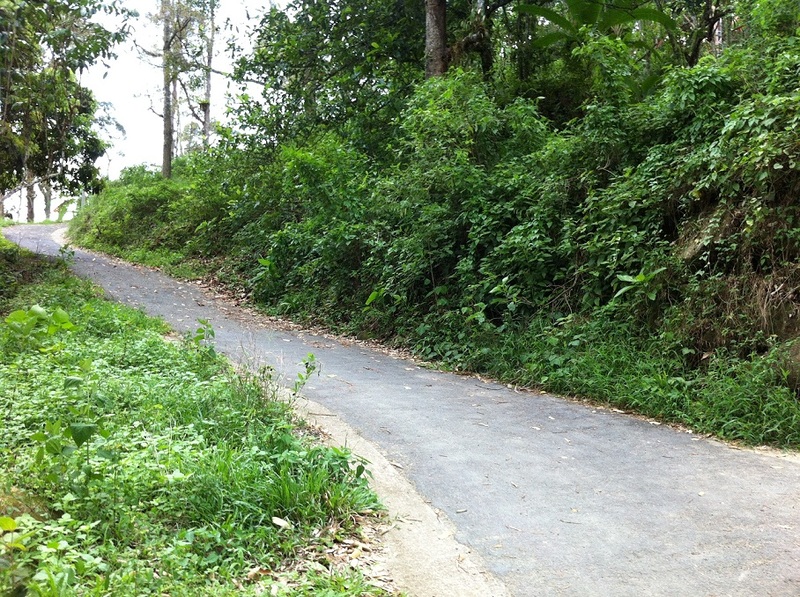 It is not a difficult climb but a lot of rolling and it can be windy at times. But, the north route is very beautiful especially in the morning as you can see the sun rise by the coast. And, it has fewer cars on this road in the early of Saturday and Sunday morning. 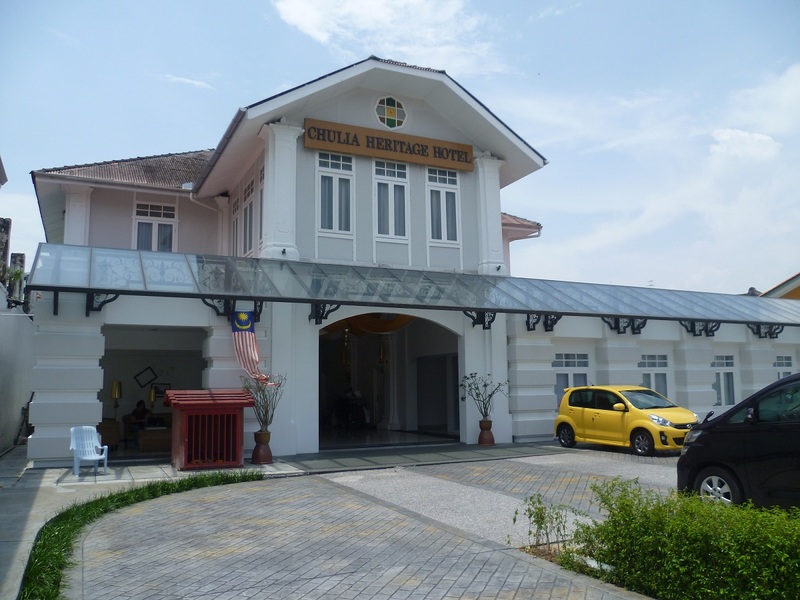 For more pictures, please refer to my Tanjung Bunga – Teluk Bahang Trails – Penang. Both ways have its uniqueness. 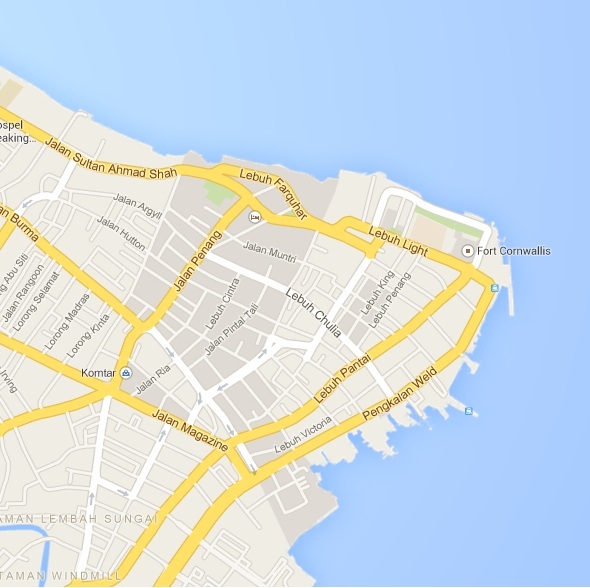 If you have time, why not cover both or you can just do a round island with just 78km only. On a road bike you can cover 78km with average of 3-3.5hrs. There are so many sport apps you can find in App Store or Play Store. 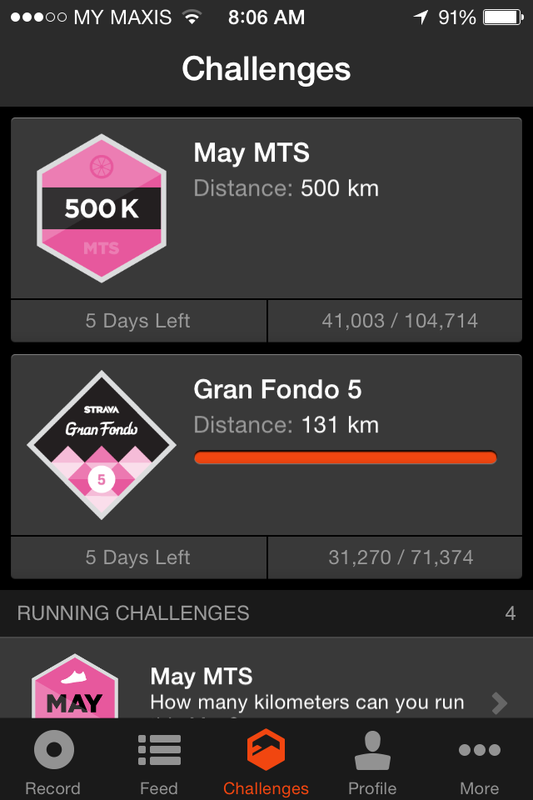 Strava is one of the many that I like very much and they are rising up fast. I have used Strava and Runtastic and I find Strava is a bit more accurate when it comes in calculating the miles and elevation. 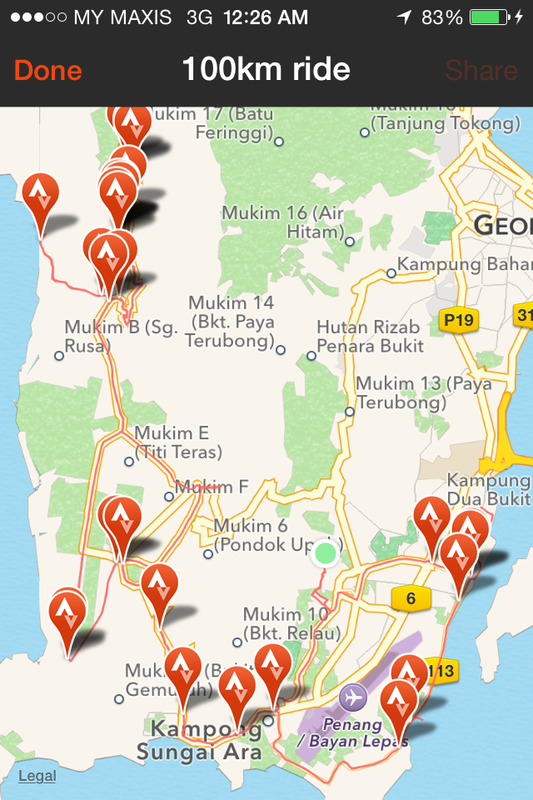 From my opinion this app is more suitable for biking and running. It can pair with ANT heart rate monitor if you have 1. 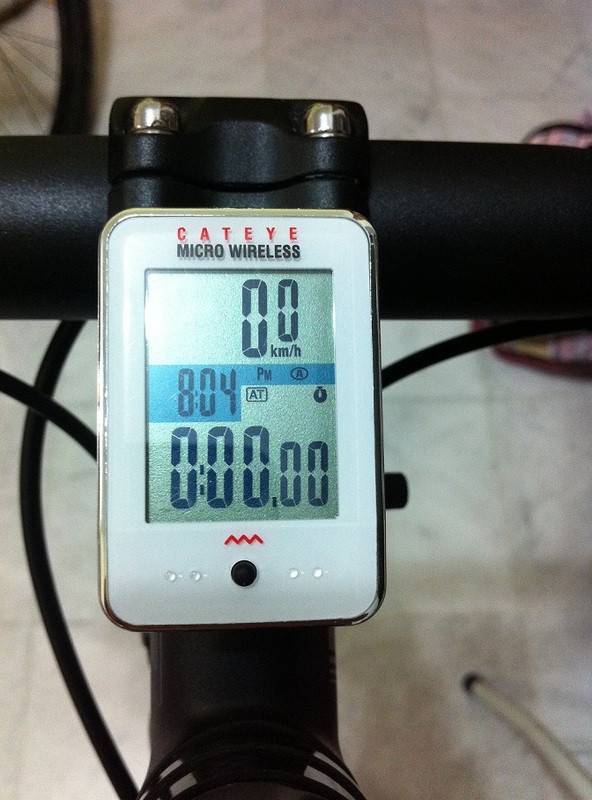 It has a large display for your viewing especially when you are pedaling still. A more detail records can be seen after your ride. There are a few features that I like in Strava like the Challenge segment where they have created a few challenges for you to meet each month. You will tend to try outperforming yourself or better than your friend. Another thing I like about it, is the ranking from each ride vs all Strava users. It has its good and bad. The good part is you can try to pace them to improve your biking time. 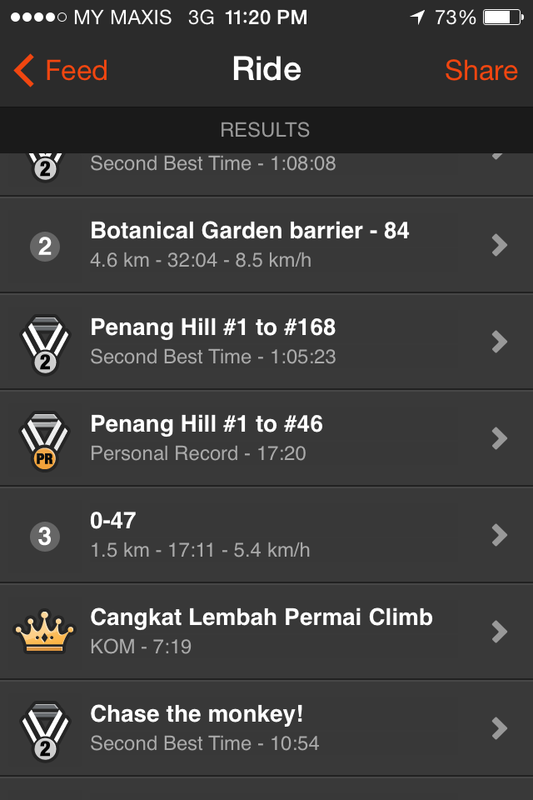 The bad is you will try to go faster each time just for the sake of KOM (King of Mountain) title. 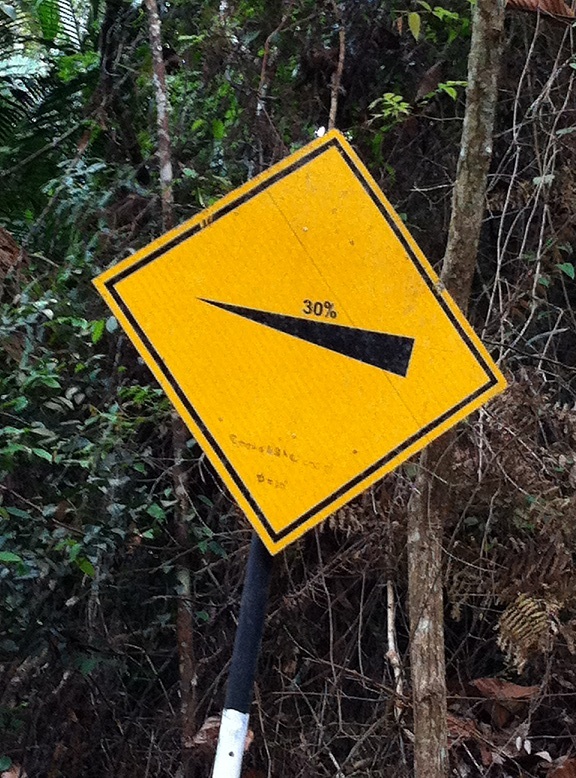 Riders will some time endanger others or themselves just to get the KOM. For me, I will try to strife for uphill KOM only. There are many paid features that you can do but the basic features are sufficient for me. How reliable is this app? Well, it always has been working fine for me until lately. I had 2 incidents happened to me. 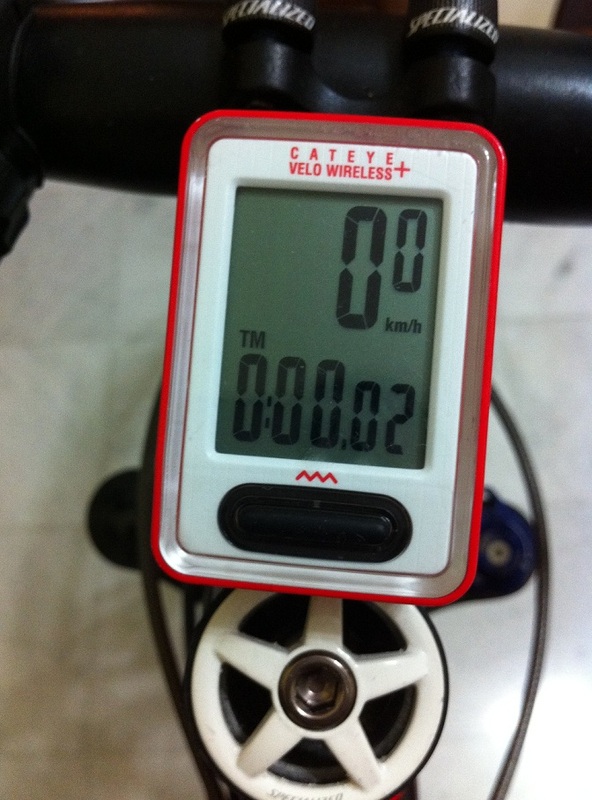 1 is the app showed I have cycled 0km which I have done about 15km. 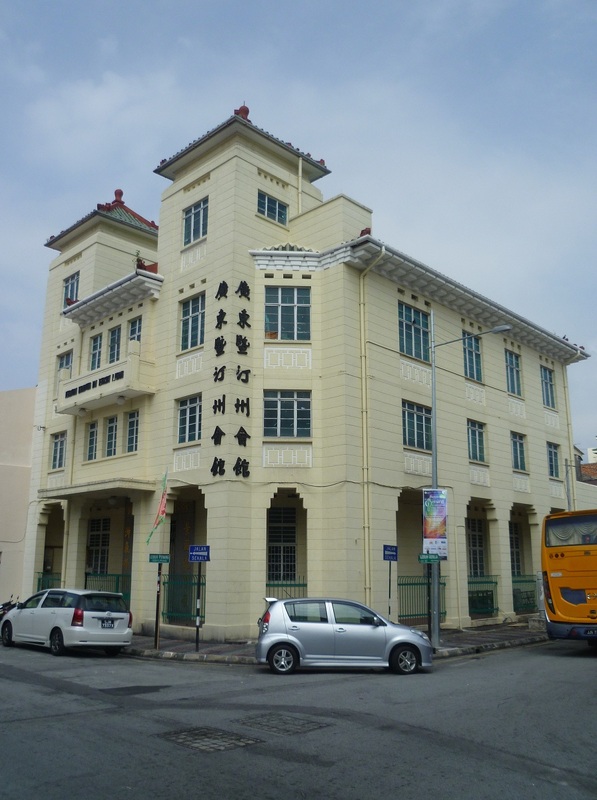 Another incident happened just today. 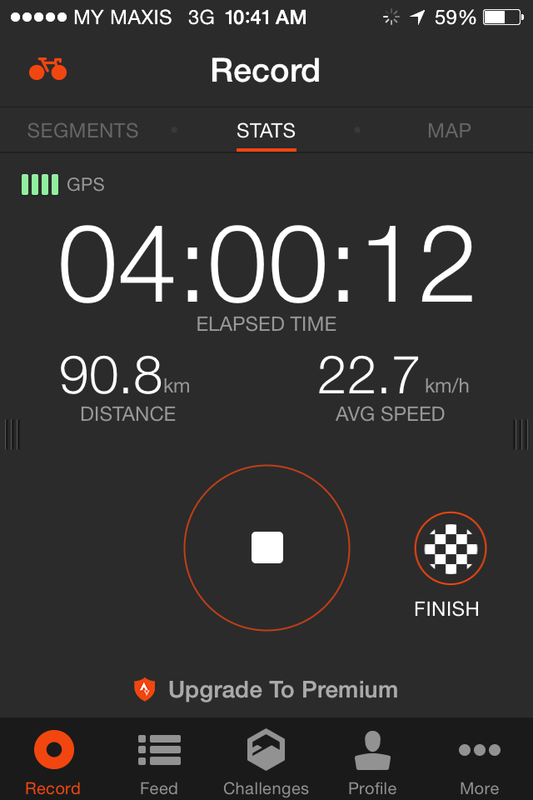 When I tried saved my record for the ride, it showed the data was deleted from Strava Server. Fortunately, my record was shown after 2 hrs have past. Overall, I am still happy with this app but I am heavily considering a GPS watch just as a backup.